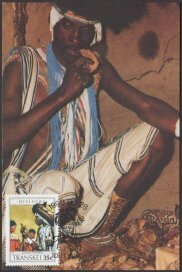 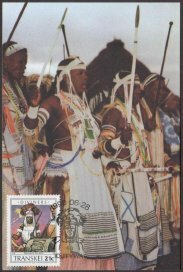 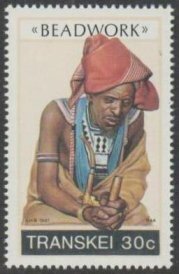 Xhosa-speaking Nguni tribes began to settle in what is now Southern Natal and Transkei from about 1500 and around 1700 these tribes began to cross into the good grazing country west of the Kei River. 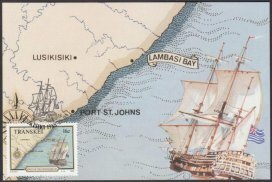 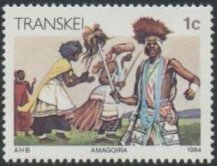 By 1775 the Western Xhosas had reached the Fish River while the Eastern Xhosas occupied the western part of the present Transkei with the Tembu, Panda and smaller tribes further to the East in the same territory. 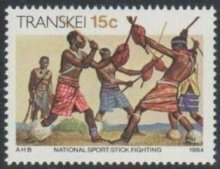 Clashes over land resulted between the white settlers and the African tribes. 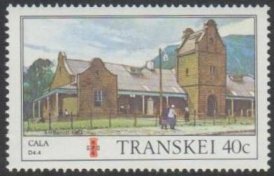 Finally by various measures passed in the Cape Parliament between 1866 and 1894, the Ciskei (Ruled as a separate Crown colony) and Transkei were both brought administratively under British Colonial Rule. 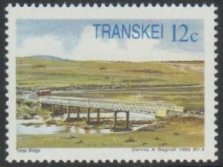 As a result of the 1894 ‘Glen Grey Act’ a system of local councils grouped under a district council was established in that area and subsequently extended to the districts across the Kei where thirteen district councils were amalgamated to form the Transkei Territories General Council in 1903. 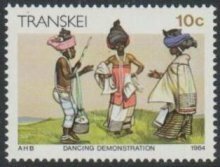 This General Council had been functioning fairly successfully for many years when the Natives Land Act of 1913 was passed by the Union Parliament providing that the Transkei Territories should be inalienably reserved for Black occupation and ownership. 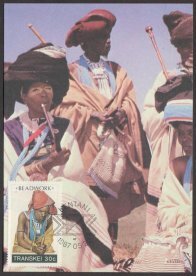 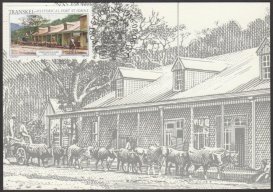 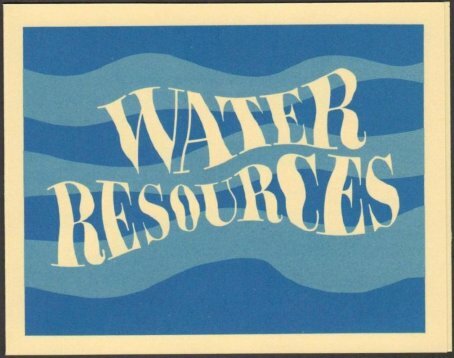 Similar general councils were established for West Pondoland in 1911 and for East Pondoland in 1927. 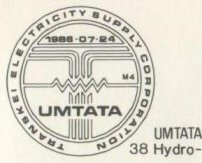 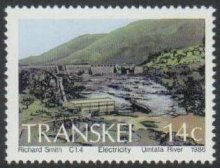 By 1932 all three bodies had been amalgamated as the United Transkei Territories General Council, usually referred to as the Bunga at Umtata. 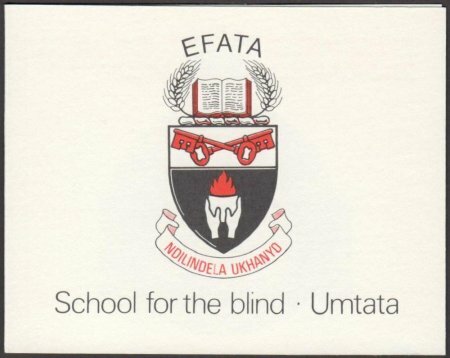 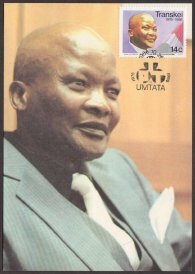 The Bunga was empowered to advise the South African administering authorities on various matters as well as to exercise certain limited executive and legislative powers. 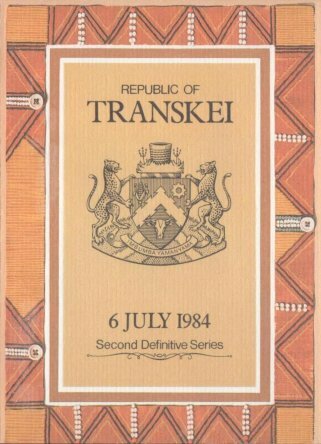 With this background of political and administrative experience it was only natural that Transkei should have taken the lead in the movement of South Africa’s Black Homelands towards Independence in terms of the policy of separate development. 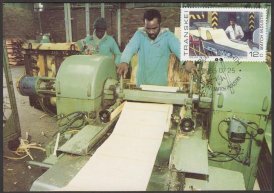 The basic shortcomings of the Bunga system were that most responsibilities still rested on the shoulders of White officials (Magistrates). 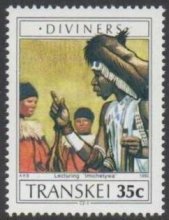 Blacks had no real opportunity of administering their own affairs and their law and custom were often not taken into account. 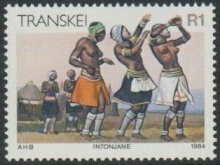 Between 1955 and 1959, however, the full range of tribal, regional and Territorial authorities provided for in the Bantu Authorities Act of 1951 was established in Transkei and in 1963 Transkei was granted internal Self-Government by the South African Parliament. 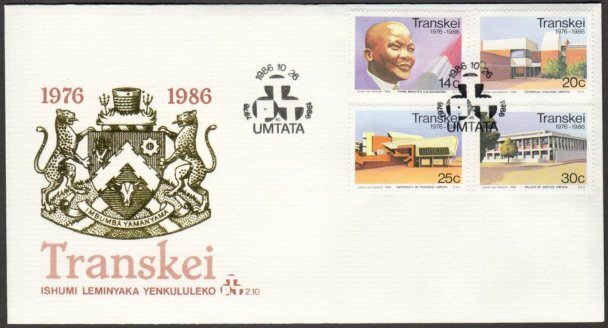 The Transkei Constitution Act passed in that year provided for the establishment of a unicameral legislature and a cabinet. 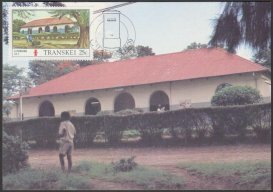 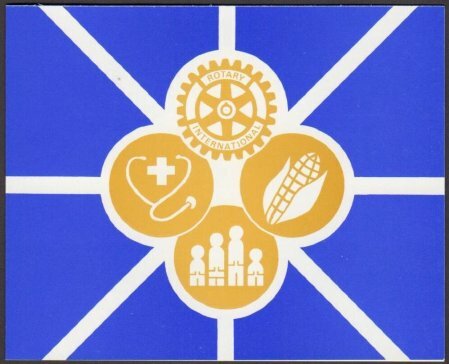 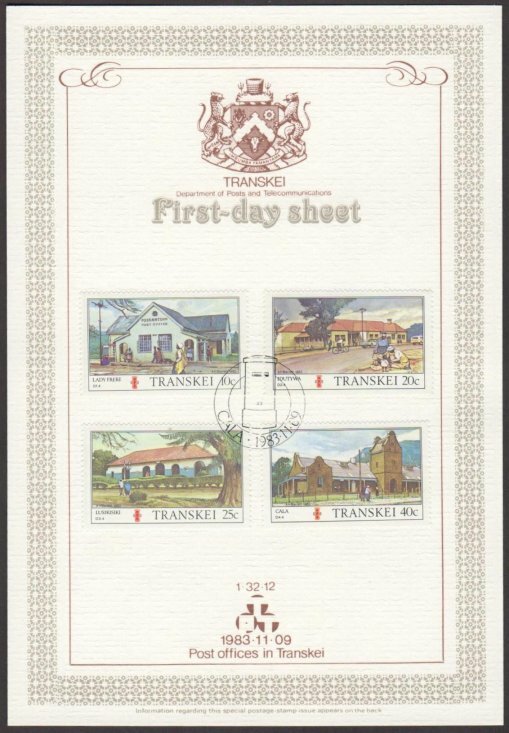 It also made provision for Transkei to have its own Flag and National Anthem, its own Official language and Citizenship. 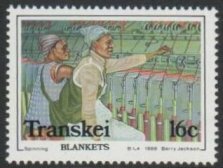 The passing of the Transkei Constitution Act was an event of great significance in the history of the Black peoples of South Africa. 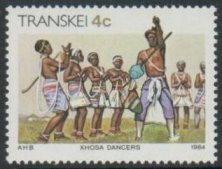 It was tangible evidence of the results of the policy of promoting Black political independence initiated in 1951 and carried a step further in 1959 by the passing of the Promotion of Bantu Self-Government Act. 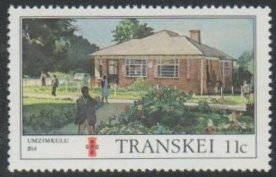 A General election to fill the then 45 seats for elected members in the Transkei Legislative Assembly was held in November 1963 on the basis of Universal Adult Suffrage. 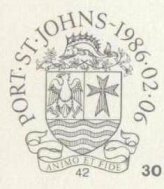 Subsequent elections were held in 1968 and 1973. 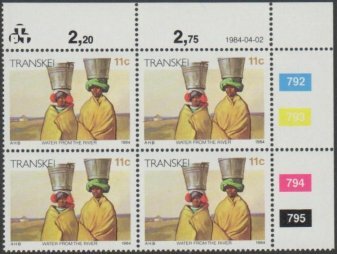 Chiefs are an essential element in the traditional political and social system of Transkei. 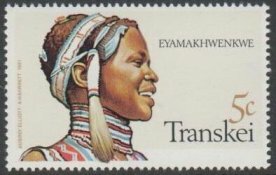 Most Transkeians consider it necessary that the Chiefs should play their part in the highest legislative body of the new state. 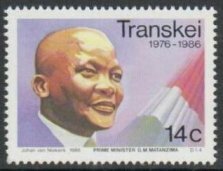 By vote of the Legislative Assembly, Paramount Chief Kaiser Matanzima became Chief Minister of Transkei in 1963. 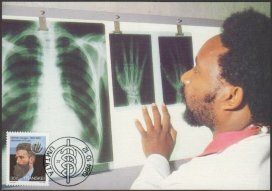 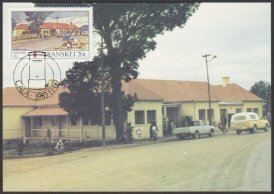 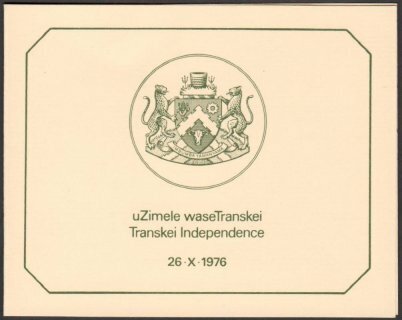 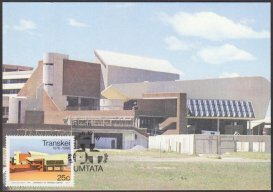 In March 1974 Chief Minister Matanzima moved in the Legislative Assembly that the Republican Government be requested to grant full Independence to Transkei within five years, claiming that in the 1973 election the electorate had given his Transkei National Independence Party a mandate to this effect. 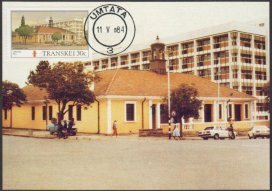 The opposition being the Democratic Party and represented in the Transkeian Legislature by 11 members demanded a referendum on the Independence issue but the Chief Minister’s motion was adopted by a majority vote. 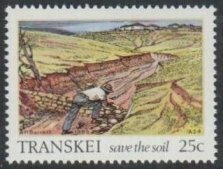 Subsequently, on 10 September 1974, the South African Prime Minister stated in the House, after discussions with the Chief Minister, that the Government was in favour of granting inde-pendence to Transkei, and that a joint working committee of experts from the Republic of South Africa and Transkei would prepare constitutional proposals for submission to a Recess Committee of the Transkei Legislative Assembly consisting of members of all parties represented in the Transkei Legislative Assembly and a Joint Cabinet Committee comprising the Prime Minister of South Africa, the Chief Minister of Transkei, the Minister of Bantu Administration and Development and the Minister of Justice. 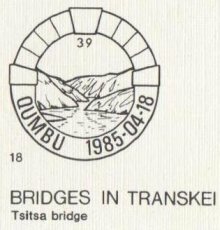 This Committee also reports periodically to the Joint Cabinet Committee on other matters incidental to the Independence of Transkei. 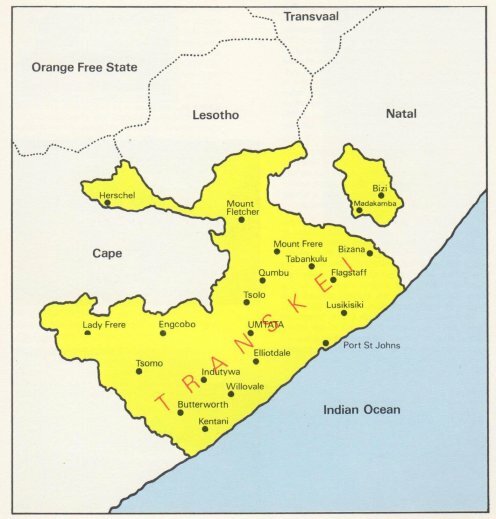 The new state will be called the Republic of Transkei. 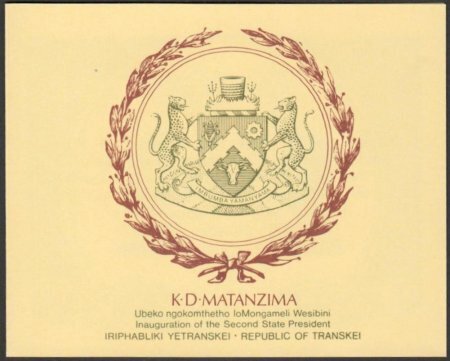 The new constitution, the introduction of which will be preceded by an election, is expected to provide for a president as ceremonial head of the state. 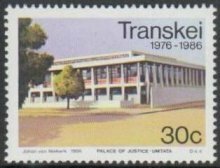 His assent will validate legislation passed by the Transkeian Parliament. 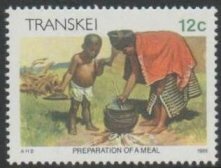 Transkei, the traditional homeland of most of the Xhosa-speaking peoples, is a fertile, well-watered territory between the Kei River separating it from the Cape Province on the south-west and the Umtamvuna dividing it from Natal on the northeast with the Indian Ocean coastline and the Drakensberg range as its other natural boundaries. 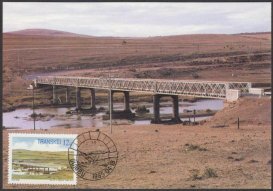 In political terms, its neighbours are the Republic of South Africa and the Kingdom of Lesotho and, since the recent incorporation of the Glen Grey and Herschel districts, its total area amounts to about 43,000 square kilometres, i.e. 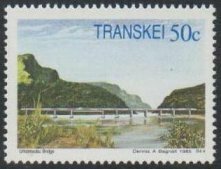 a country about the same size as Denmark or Switzerland and considerably larger than Belgium or the Netherlands. 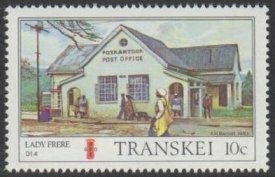 As compared with most countries on the African continent, Transkei may seem small, but it is actually more than twice the size of Swaziland and considerably larger than Lesotho, Burundi and Rwanda. 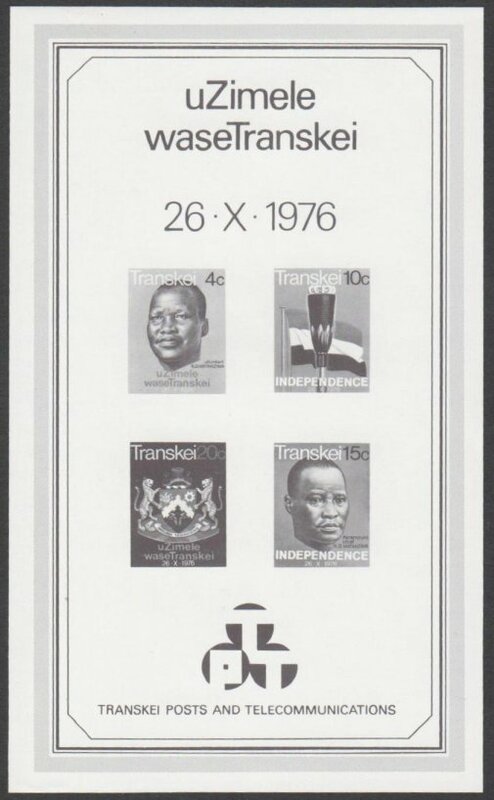 All of which are independent states and members of the United Nations Organization. 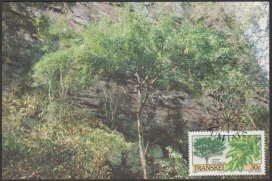 The climate is mild and temperate, moderately humid, with sufficient rain in summer and dry winters. 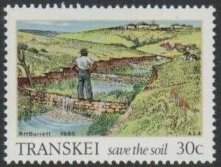 No part of the land gets on the average less than 500 mm of rain a year making possible the successful cultivation of a large variety of crops ranging from subtropical products on the coast to those common to the temperate regions of the globe in the interior. 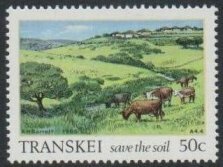 At present Transkei is essentially an agricultural country with a largely undeveloped potential. 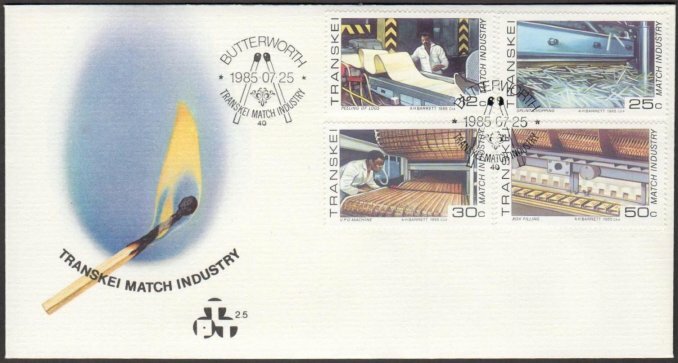 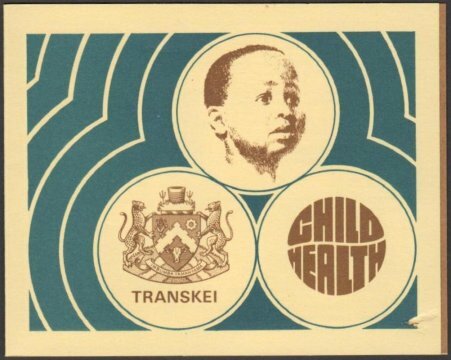 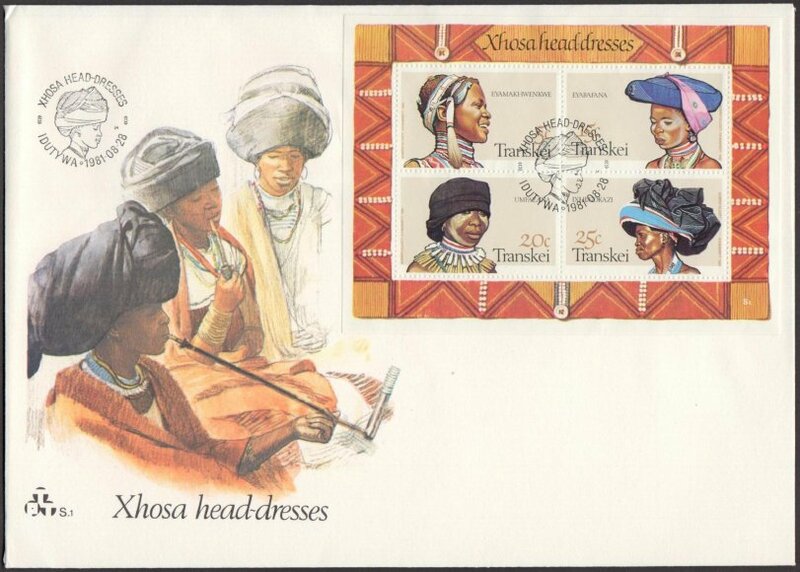 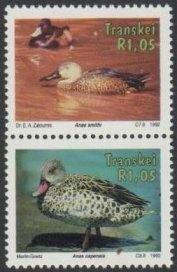 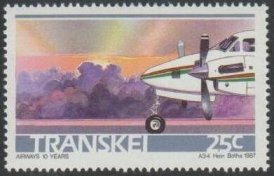 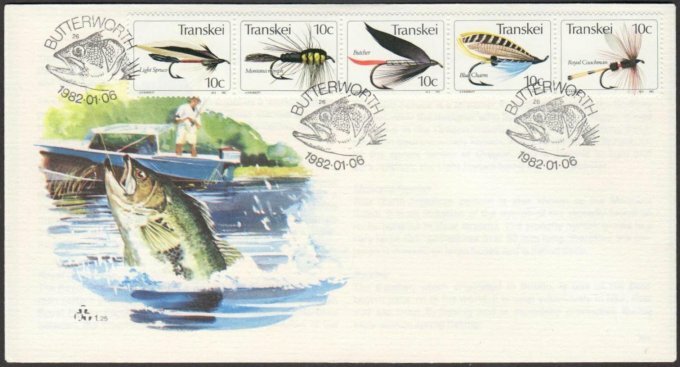 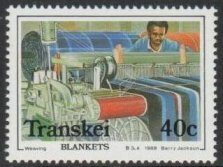 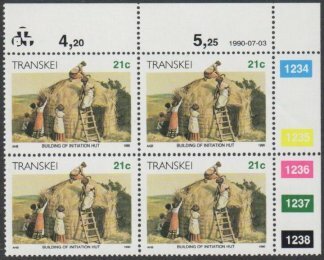 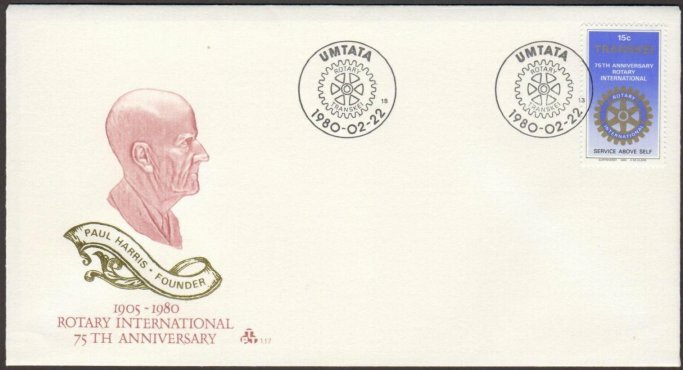 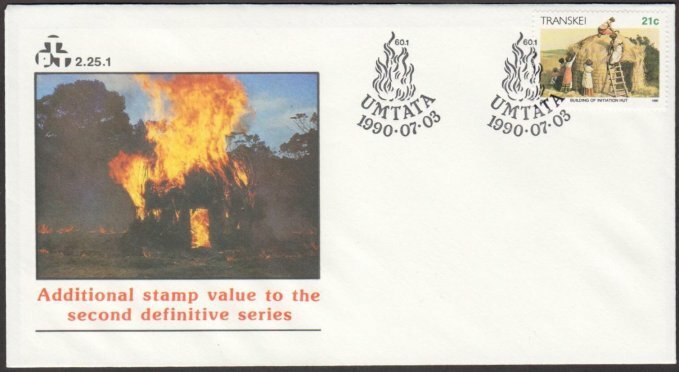 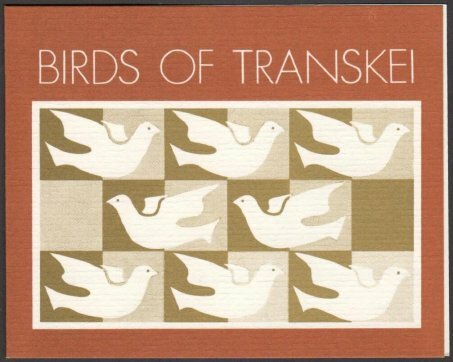 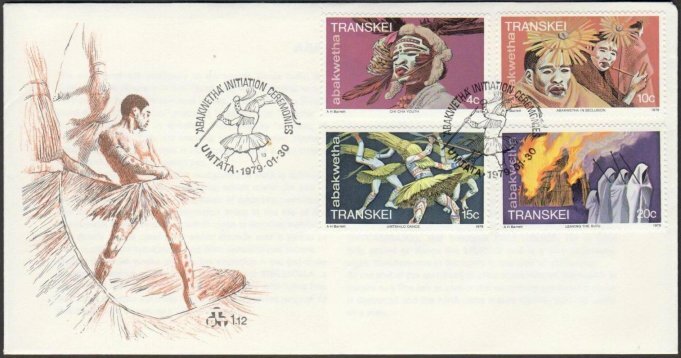 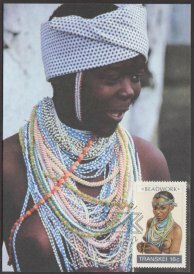 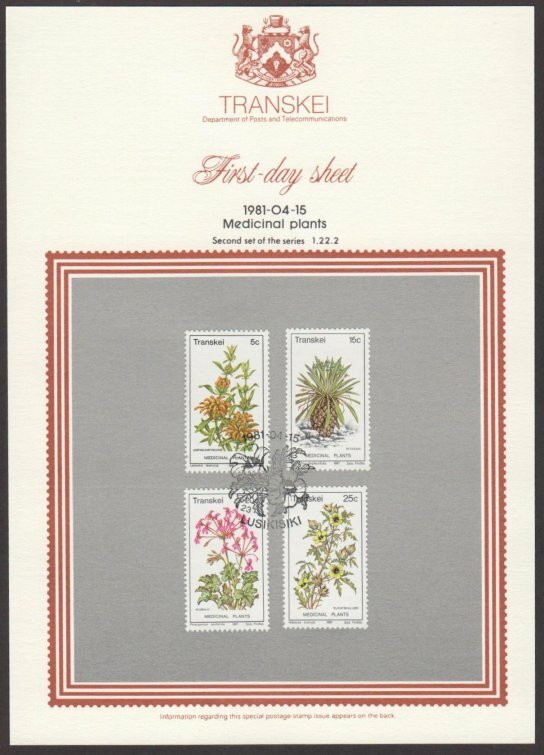 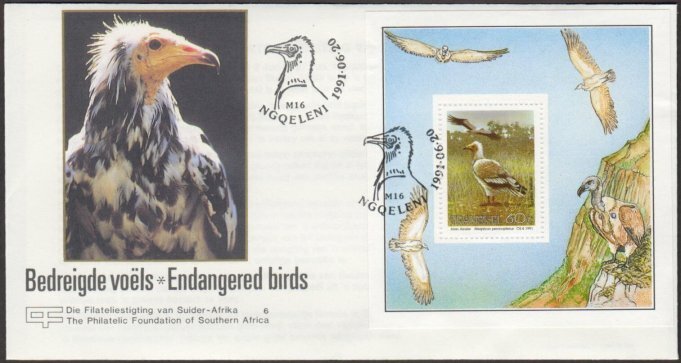 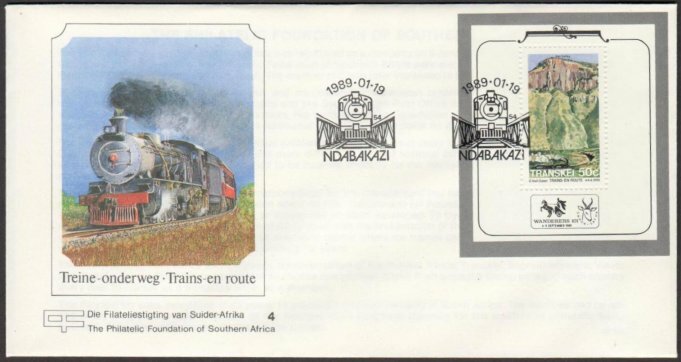 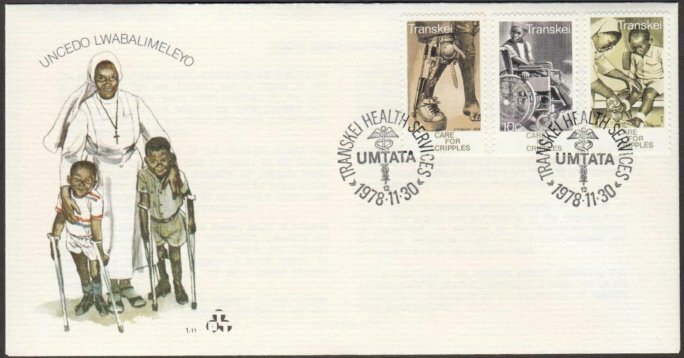 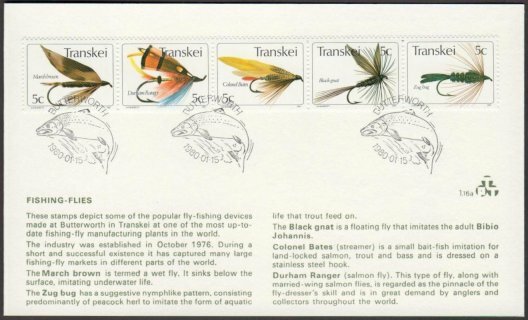 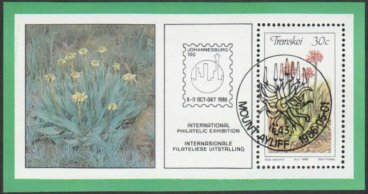 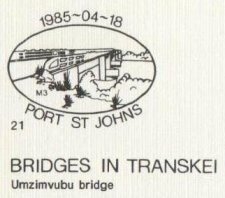 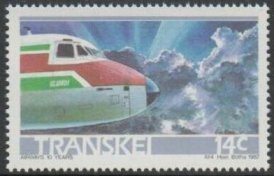 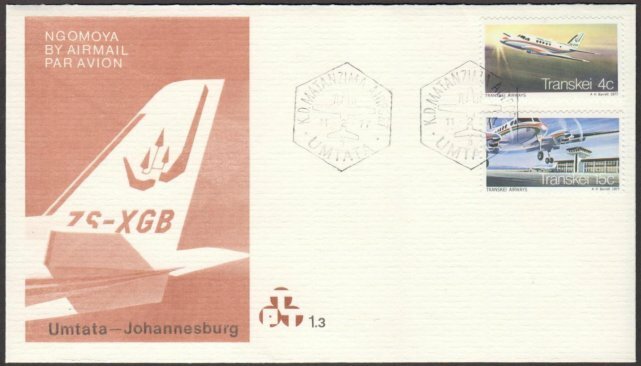 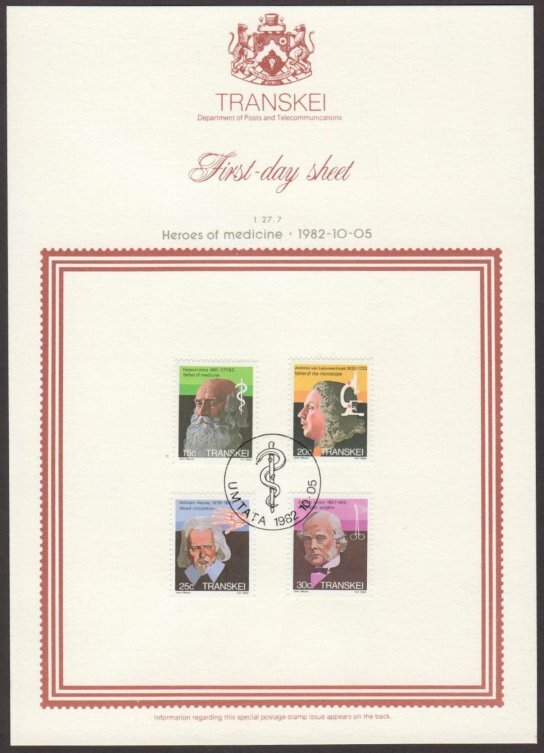 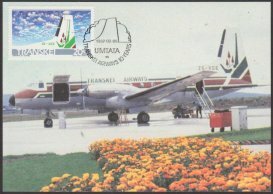 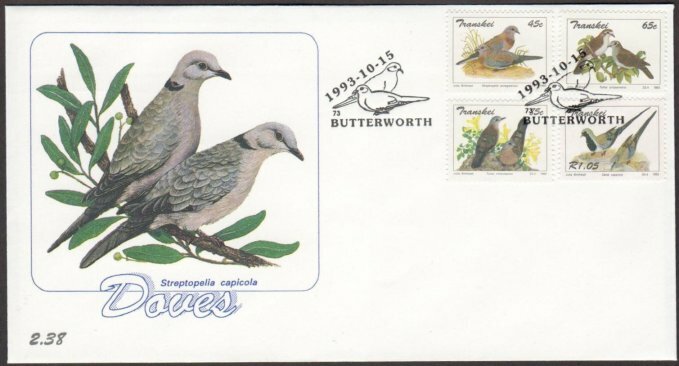 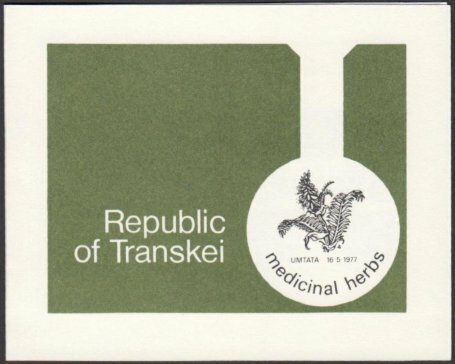 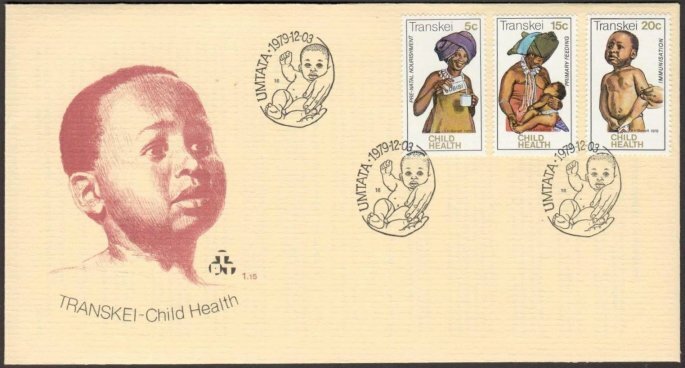 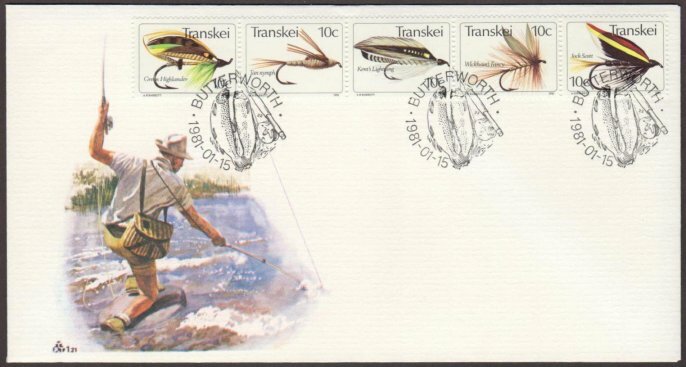 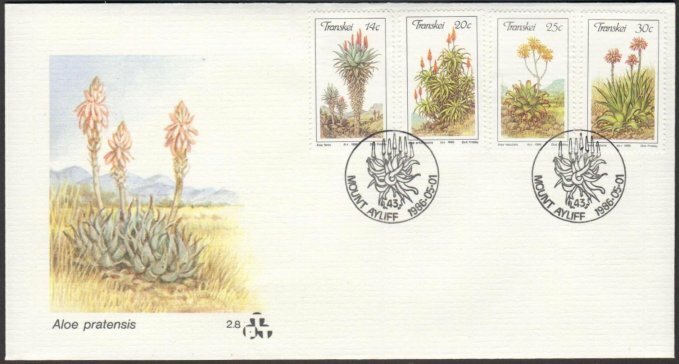 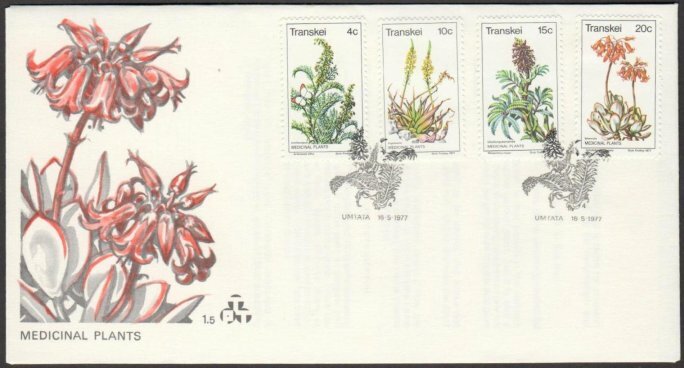 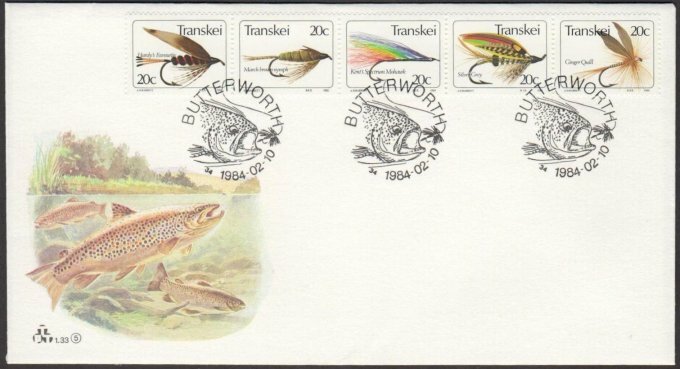 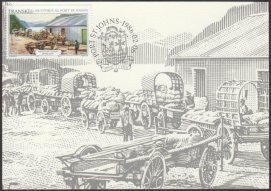 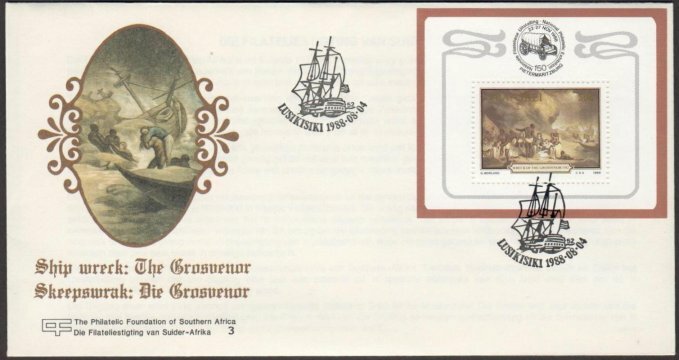 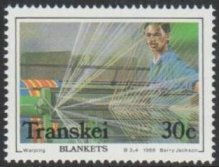 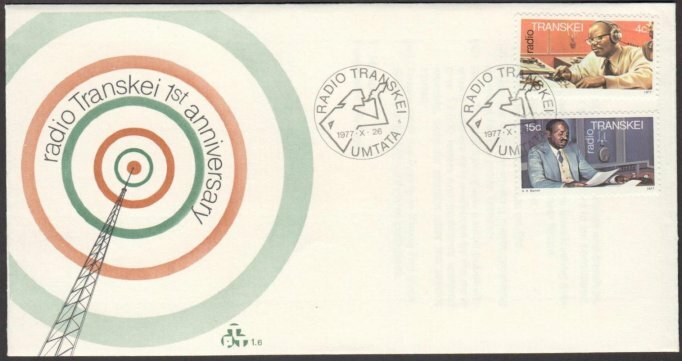 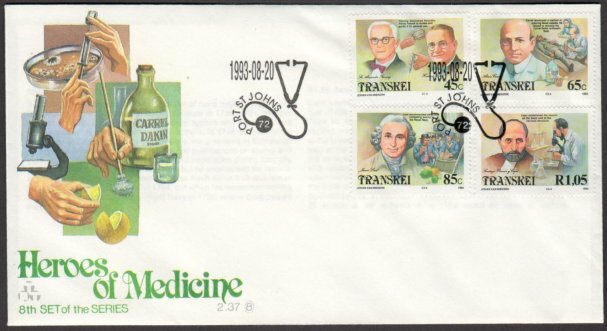 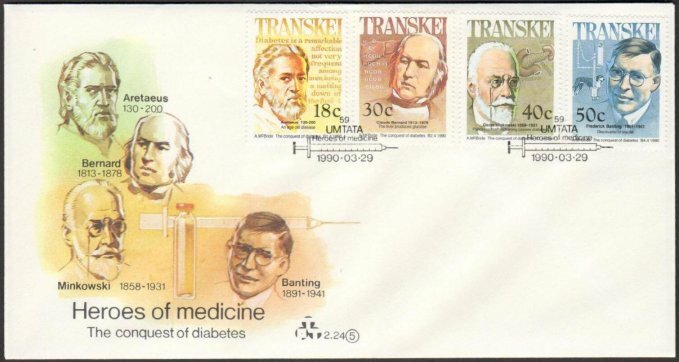 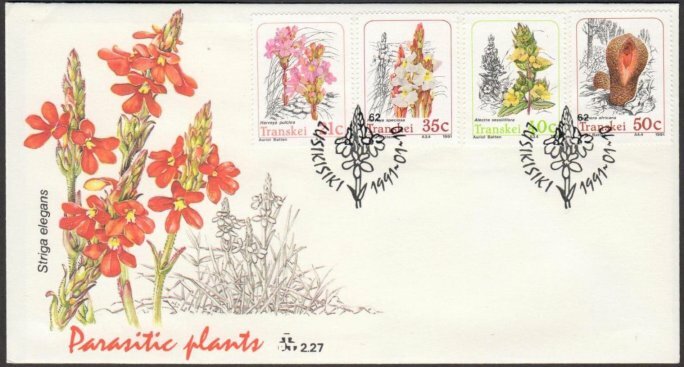 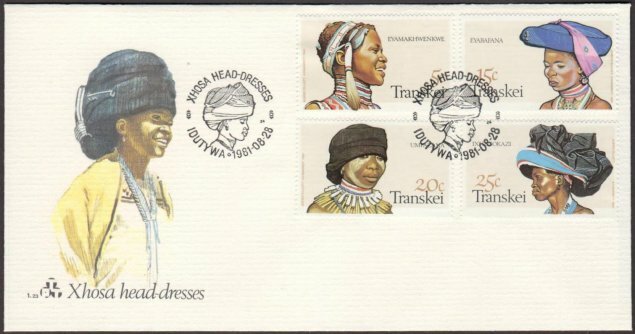 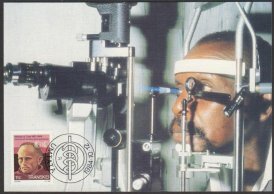 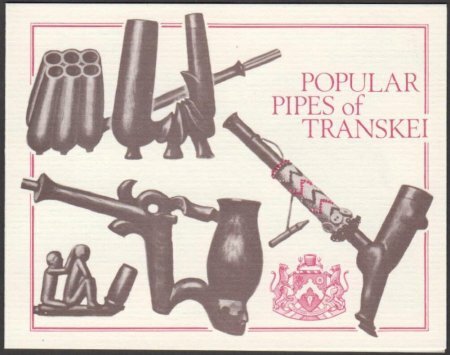 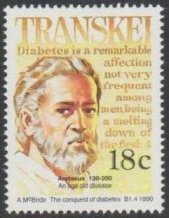 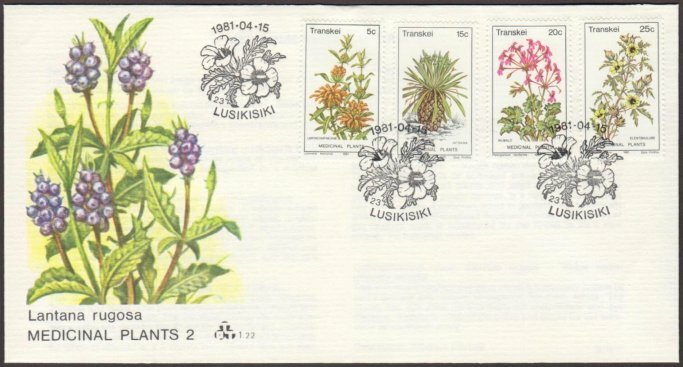 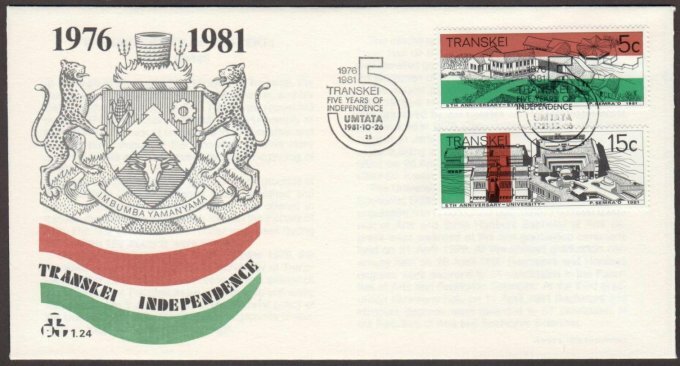 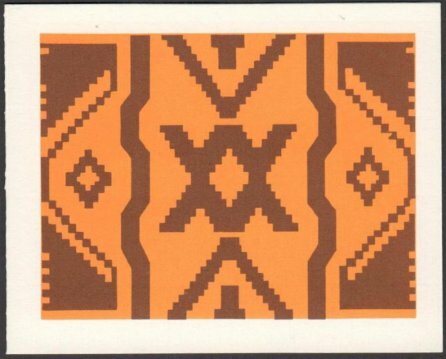 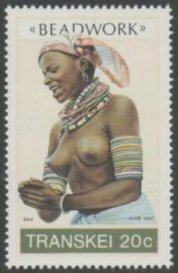 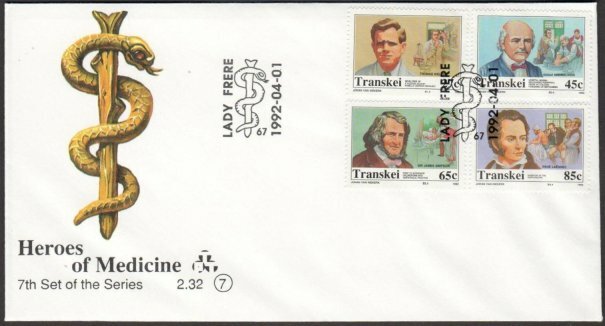 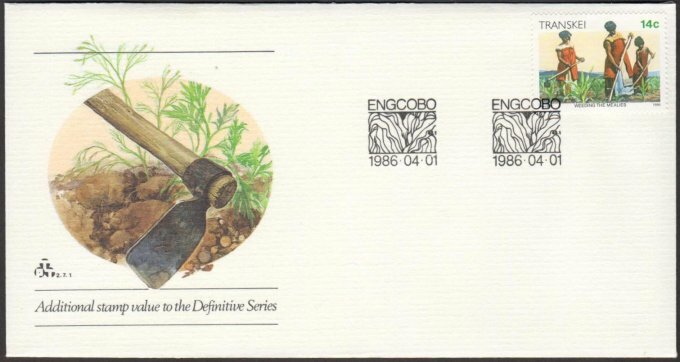 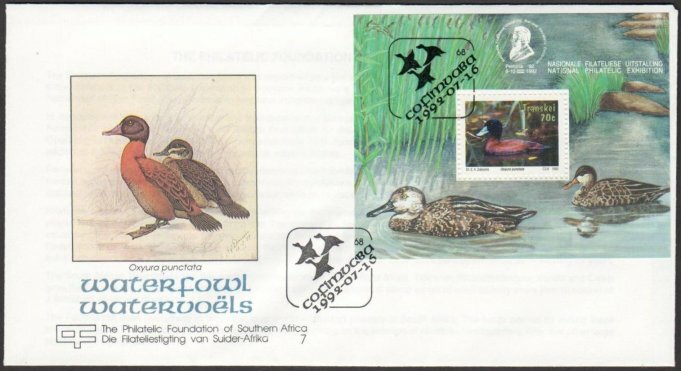 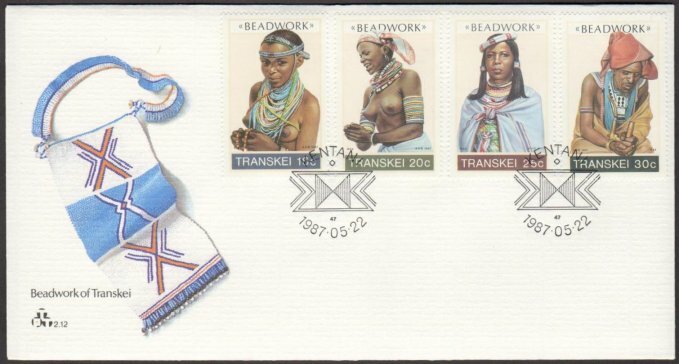 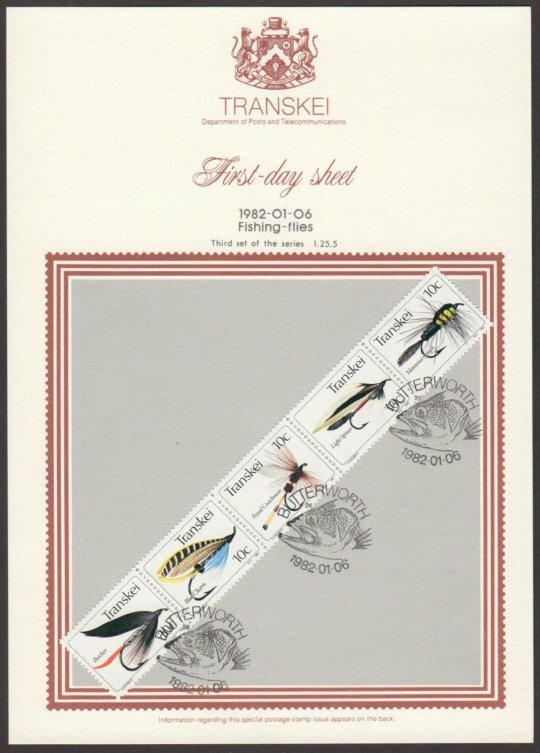 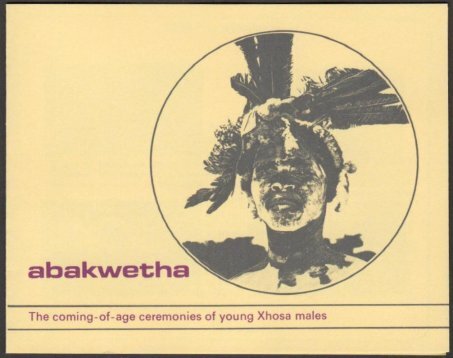 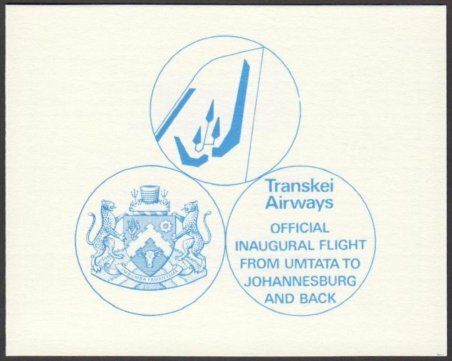 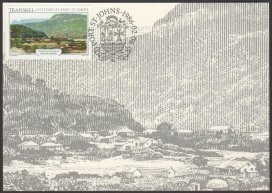 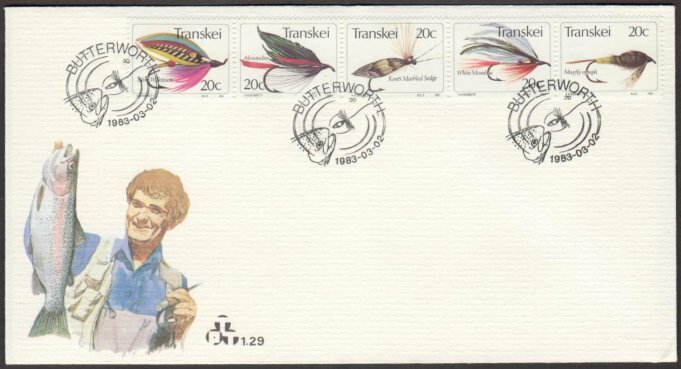 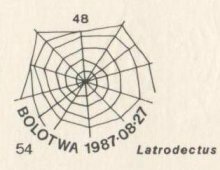 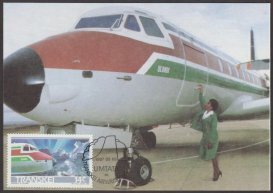 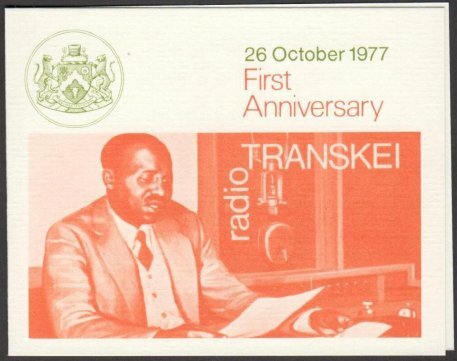 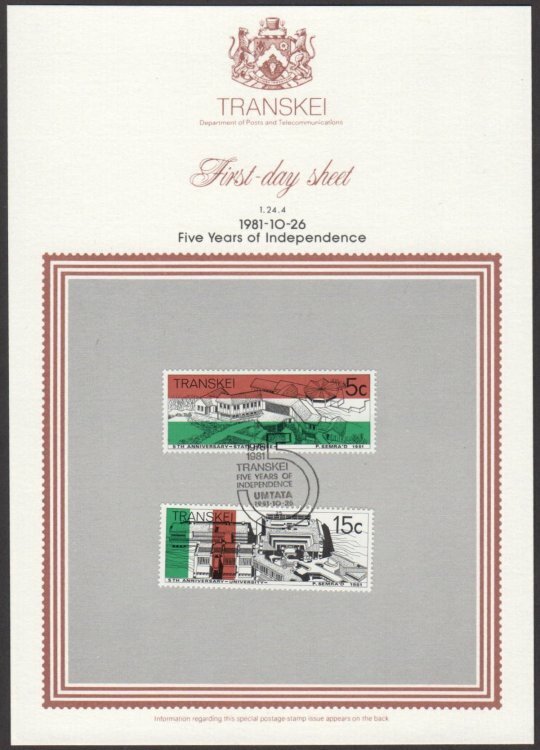 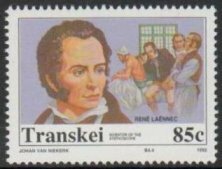 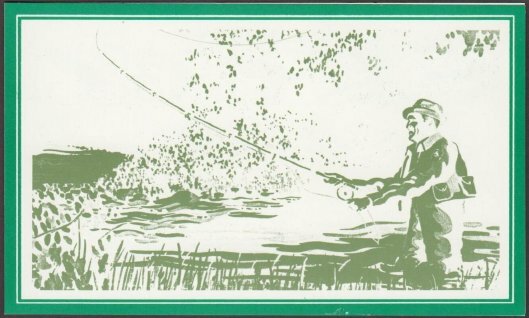 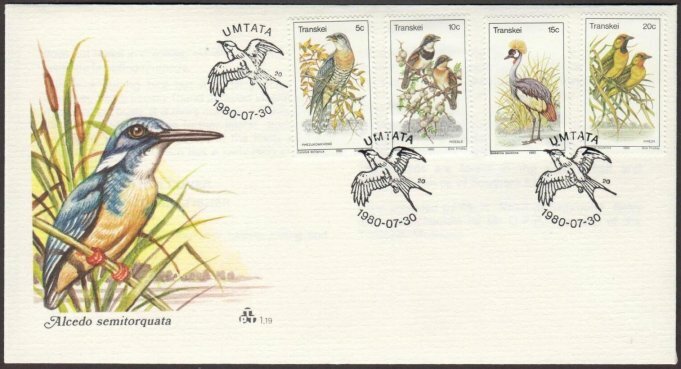 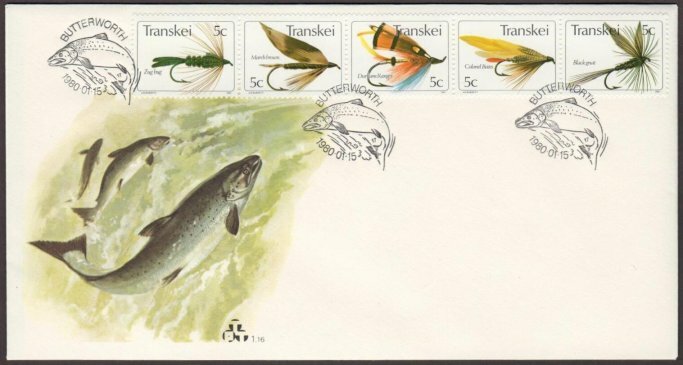 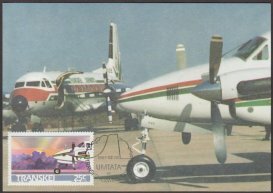 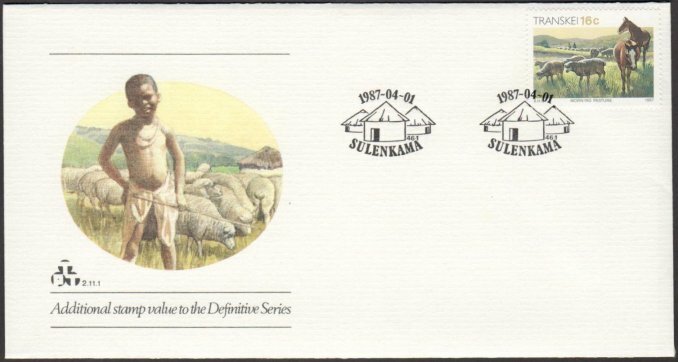 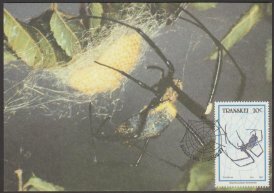 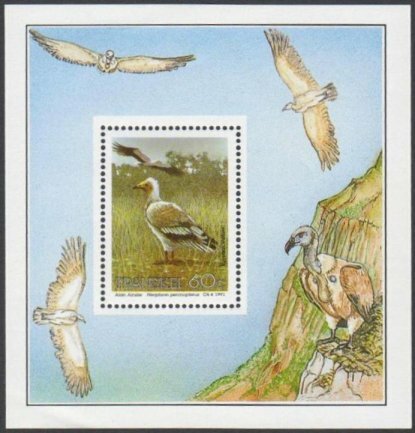 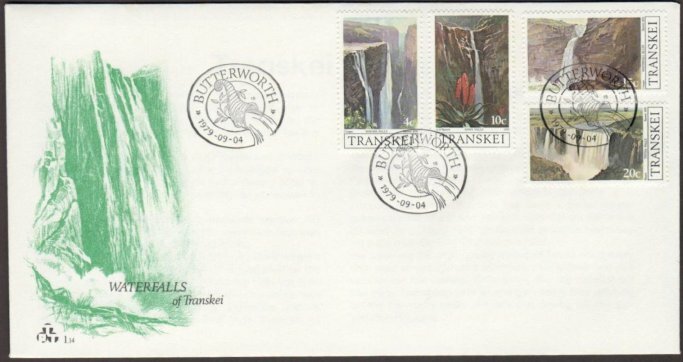 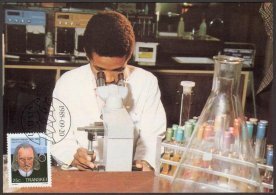 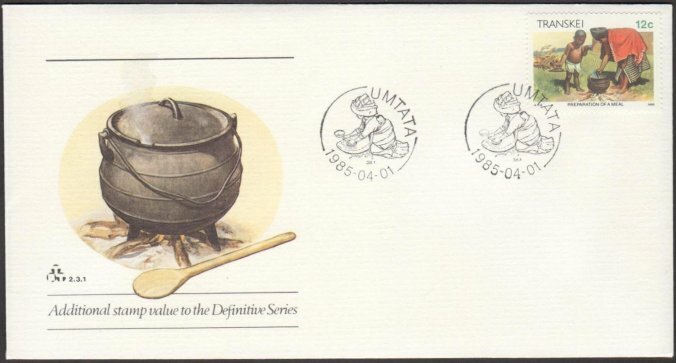 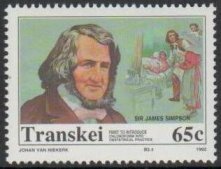 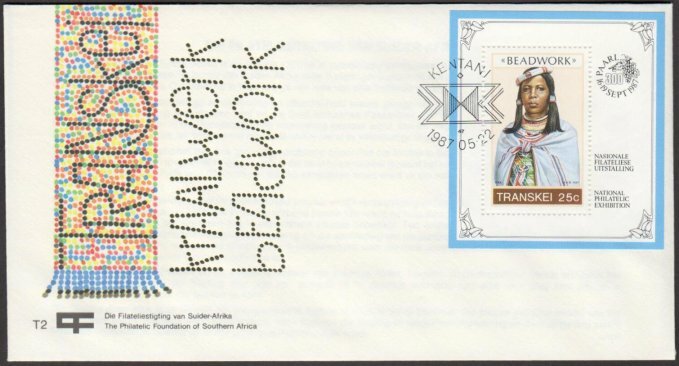 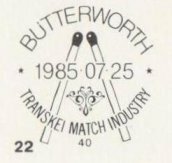 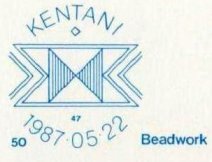 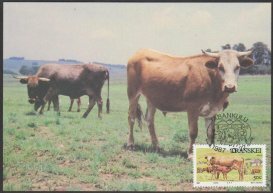 Prior to the first issues of Transkei stamps, an announcement appeared in the June 1976 issue of The South African Philatelist (SAP) and the Independence stamps plus the new definitives were illustrated in the September SAP. 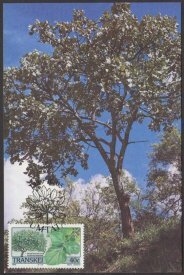 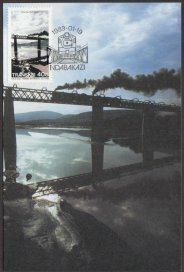 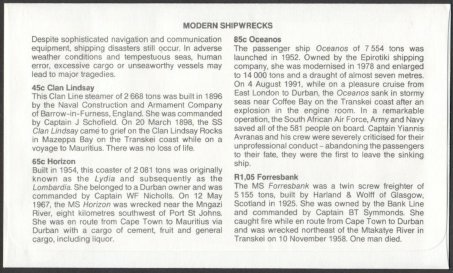 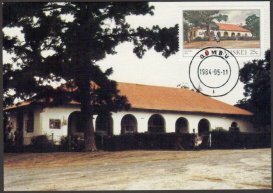 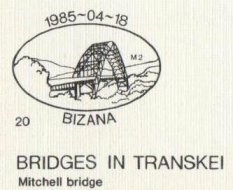 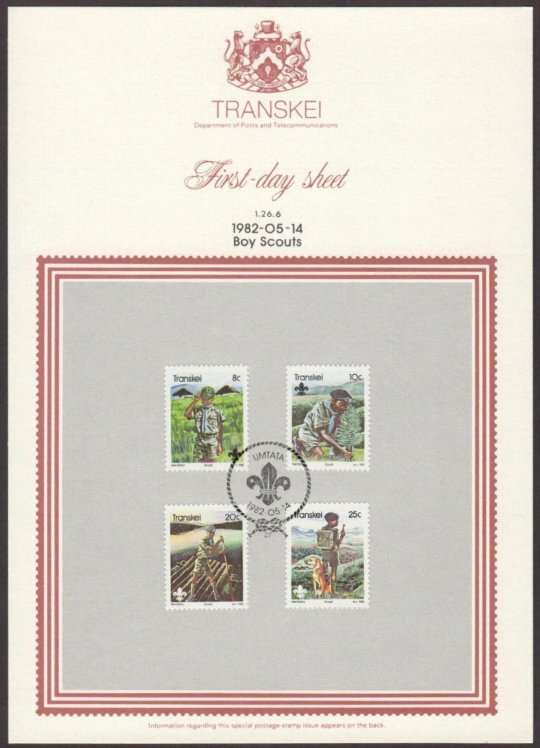 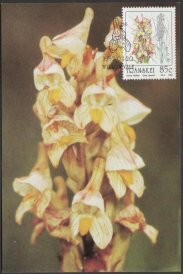 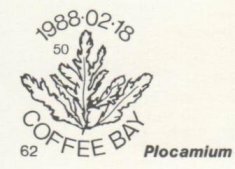 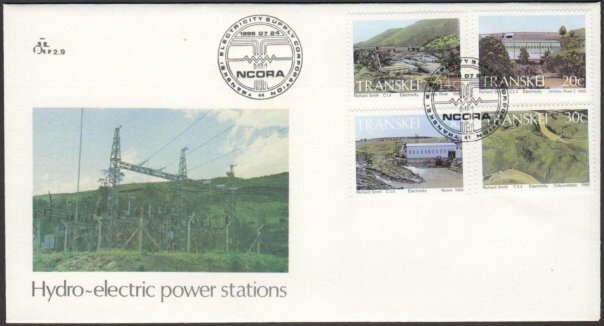 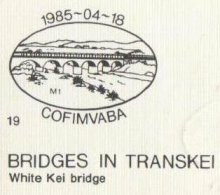 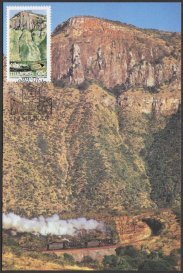 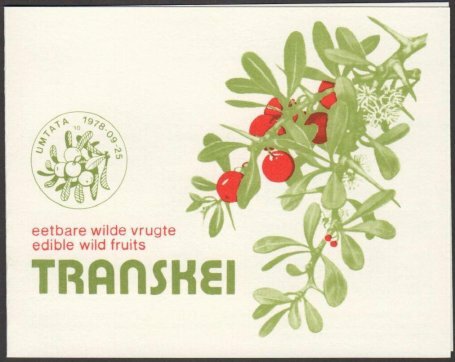 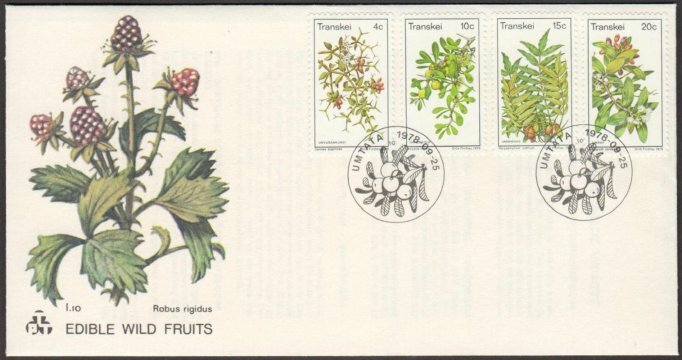 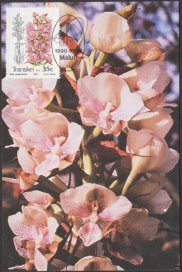 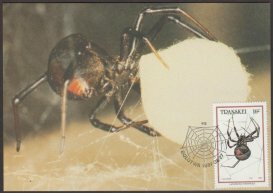 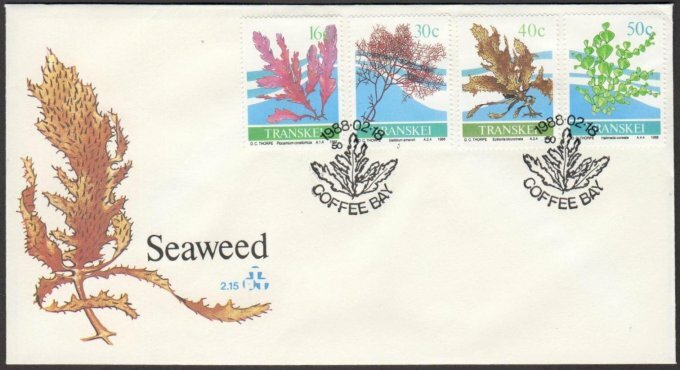 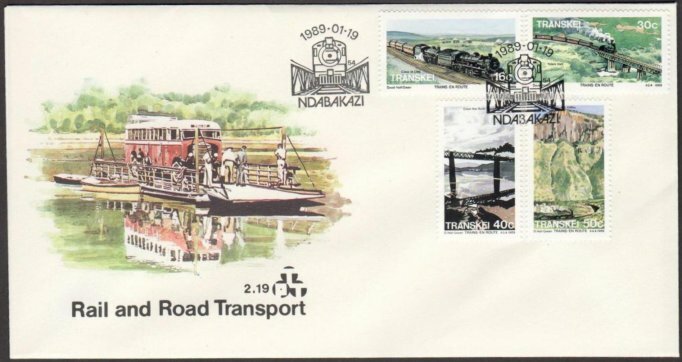 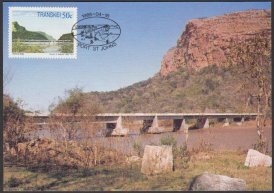 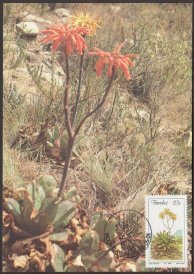 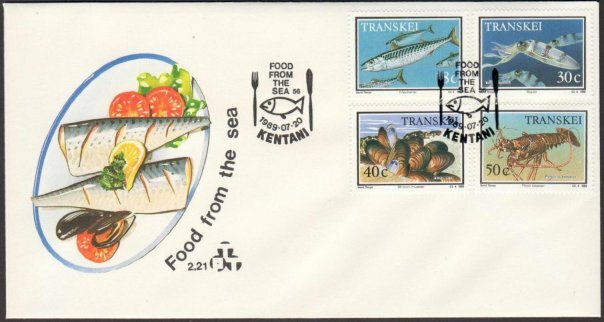 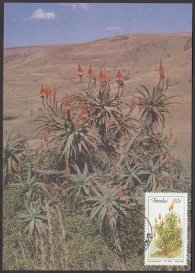 In October these issues were described in detail and in the same edition T. Berry presented an interesting article on Transkei Philately providing an overall view of Transkei (past and present) Berry also noted the names of the various Post Offices and Agencies in the Territory. 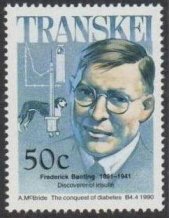 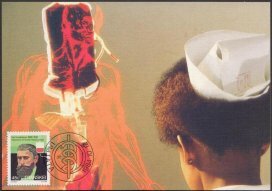 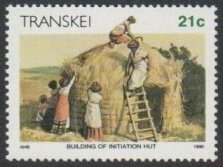 In conclusion Berry wrote...The elevation of the Transkei to a self-governing independent state will have far-reaching philatelic influences. 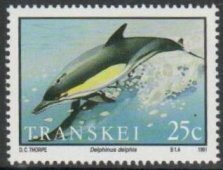 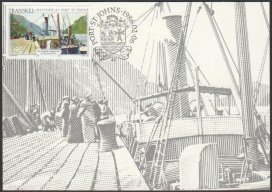 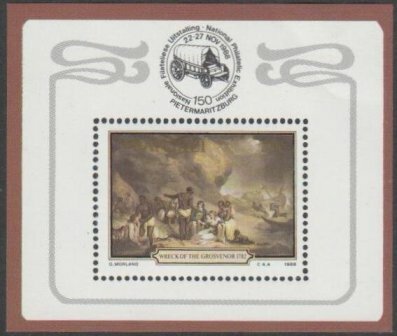 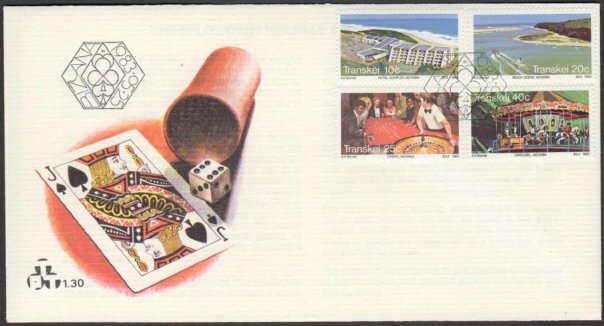 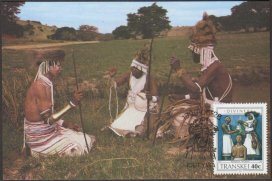 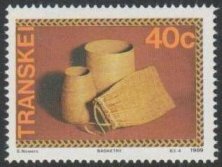 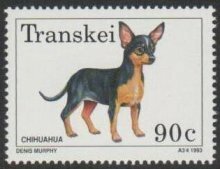 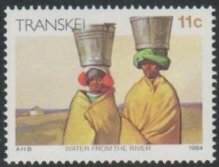 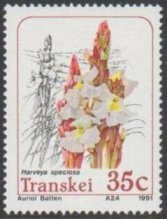 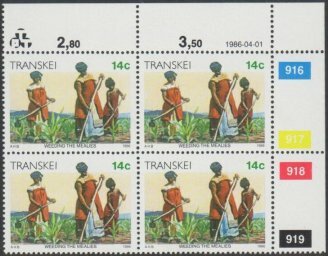 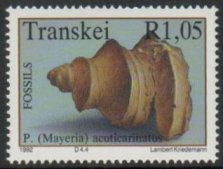 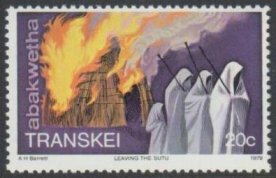 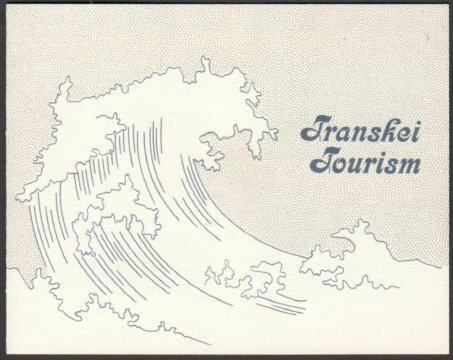 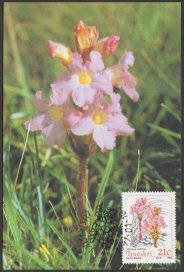 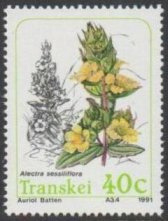 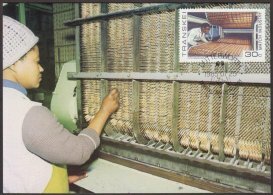 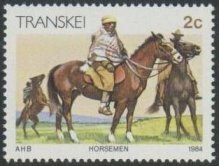 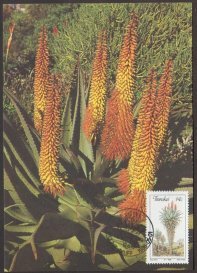 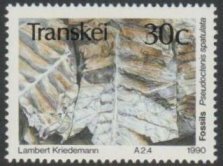 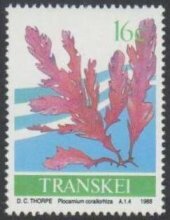 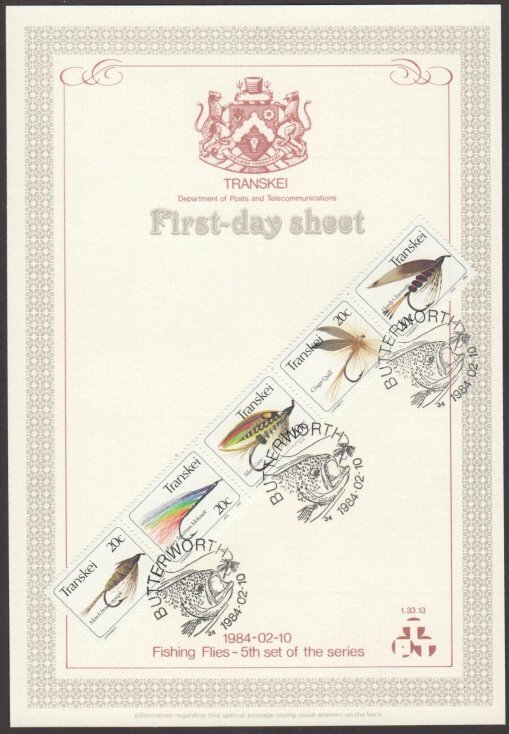 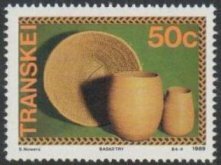 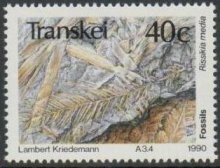 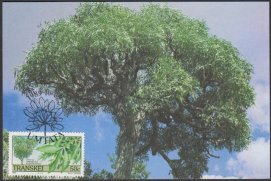 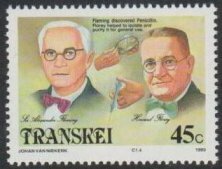 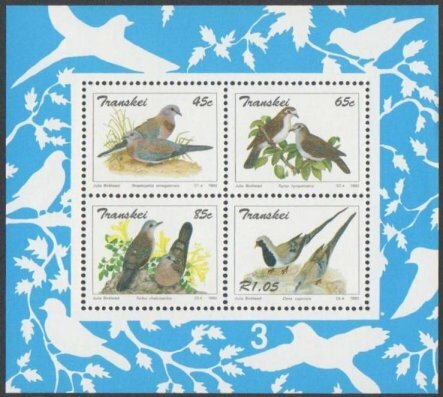 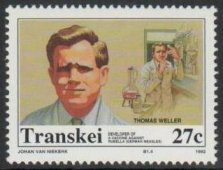 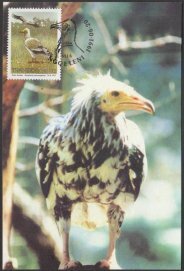 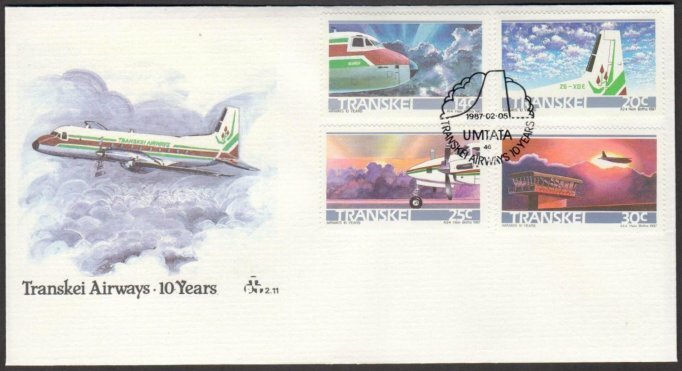 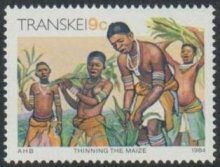 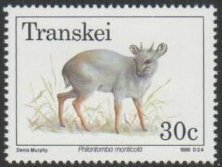 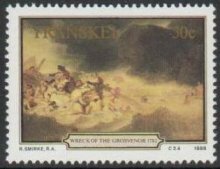 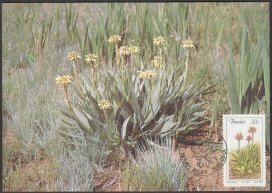 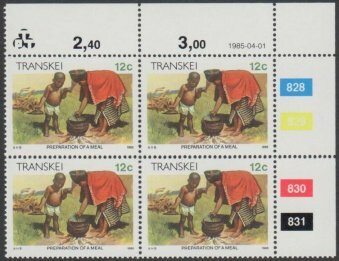 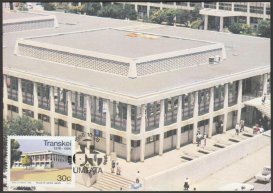 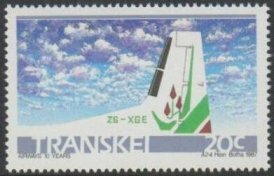 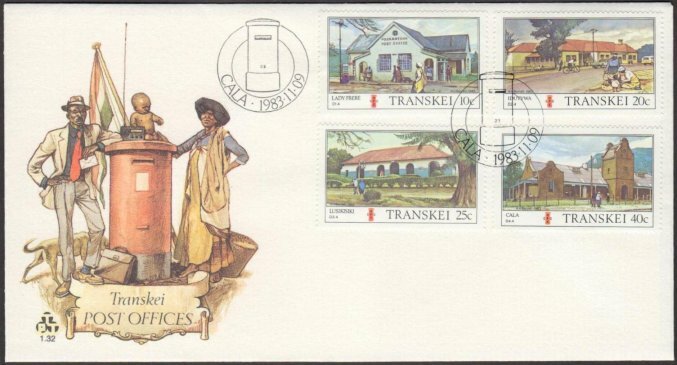 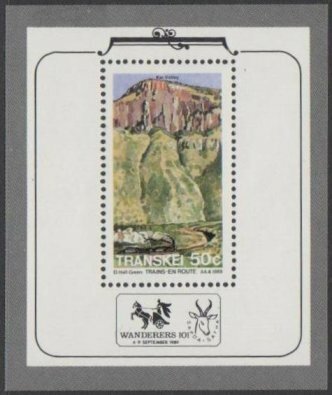 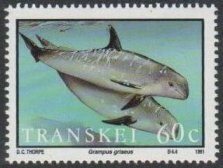 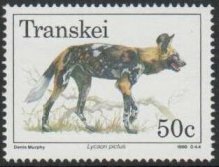 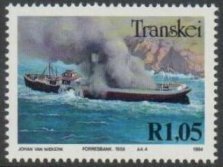 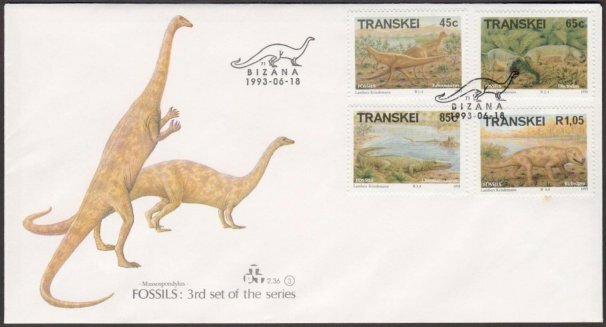 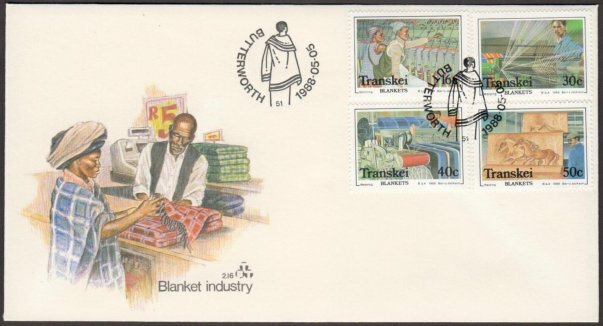 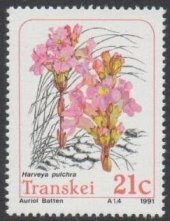 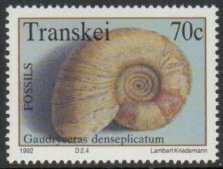 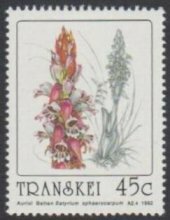 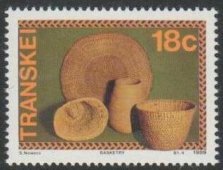 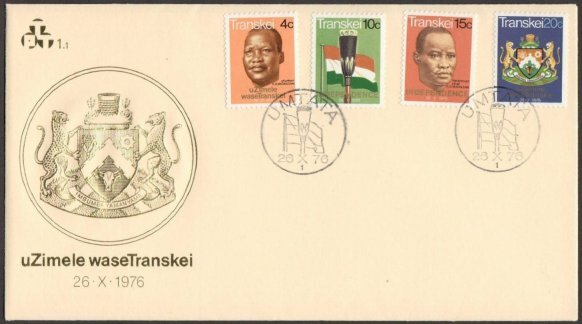 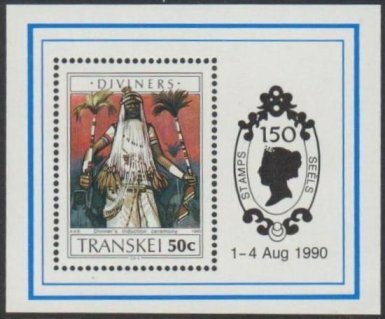 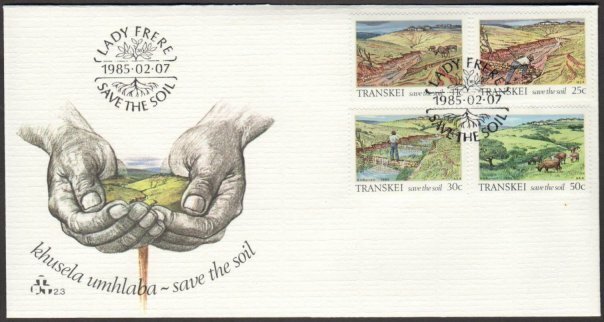 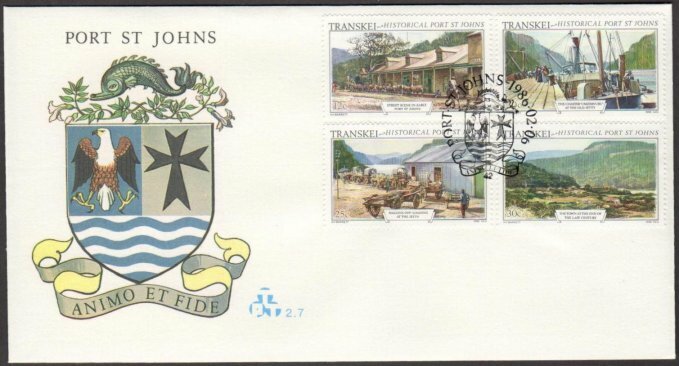 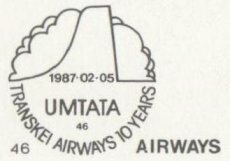 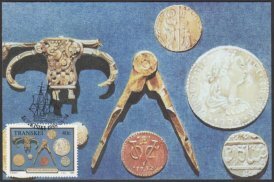 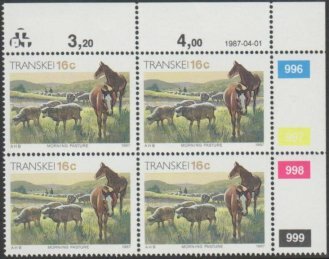 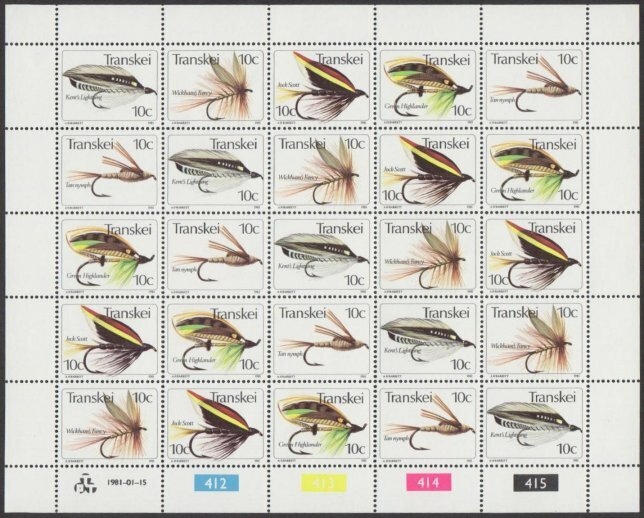 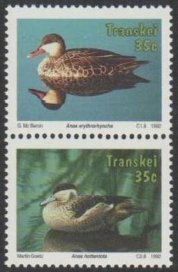 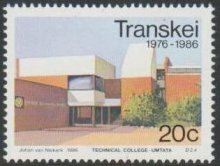 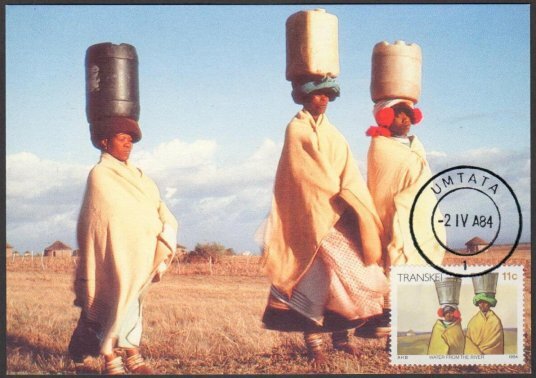 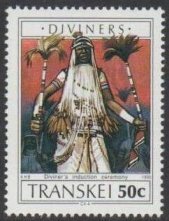 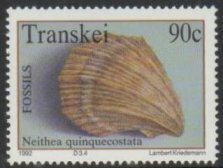 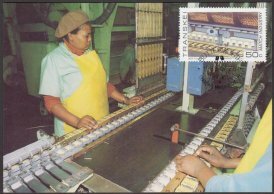 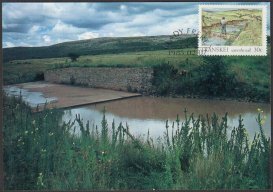 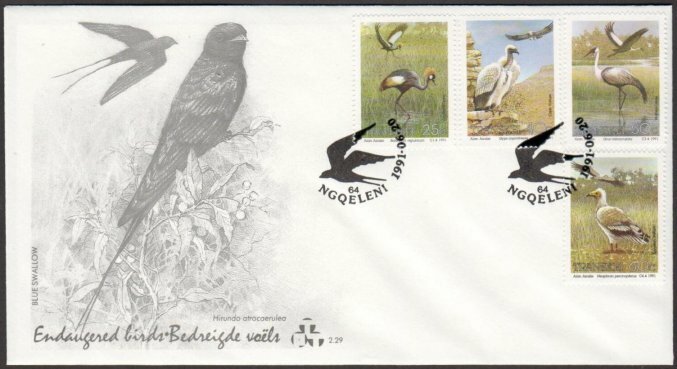 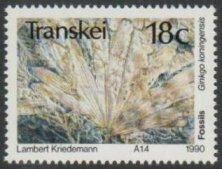 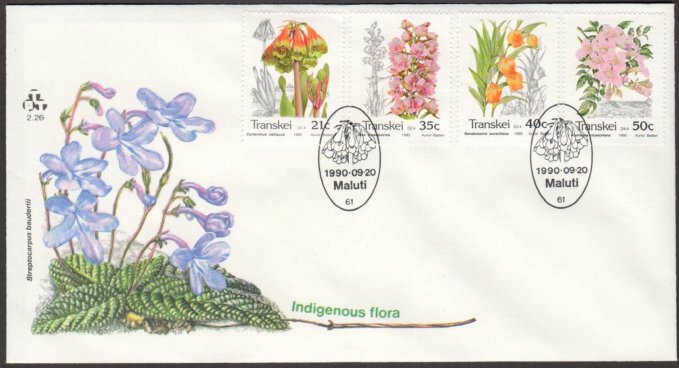 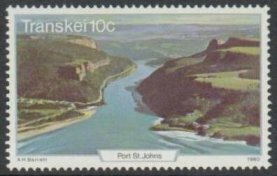 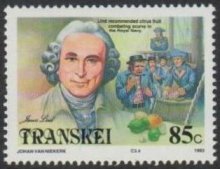 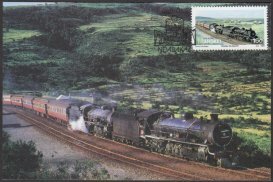 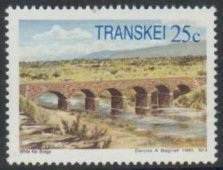 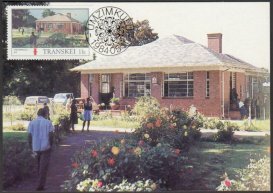 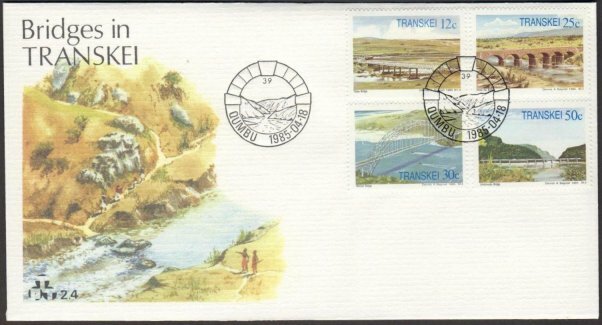 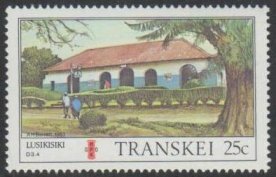 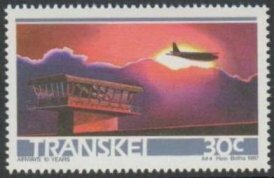 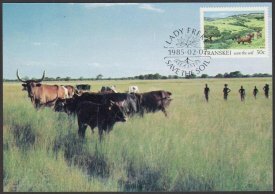 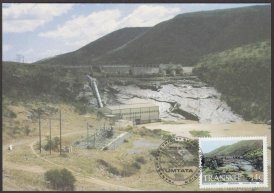 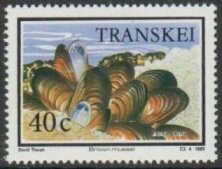 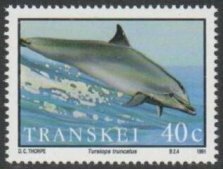 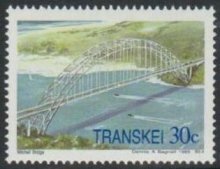 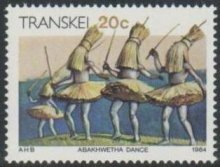 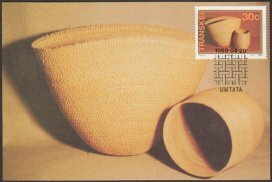 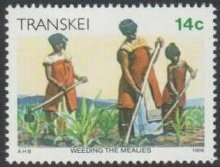 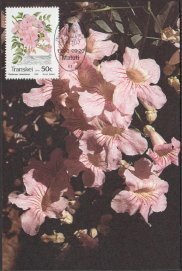 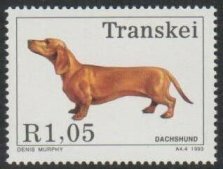 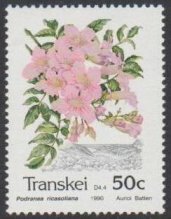 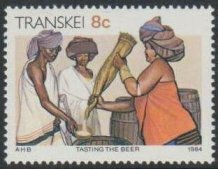 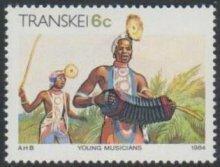 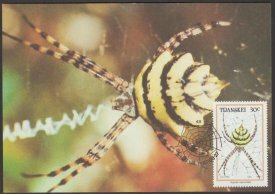 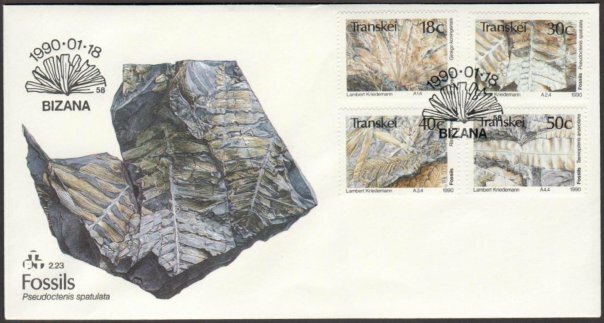 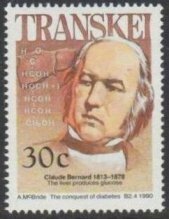 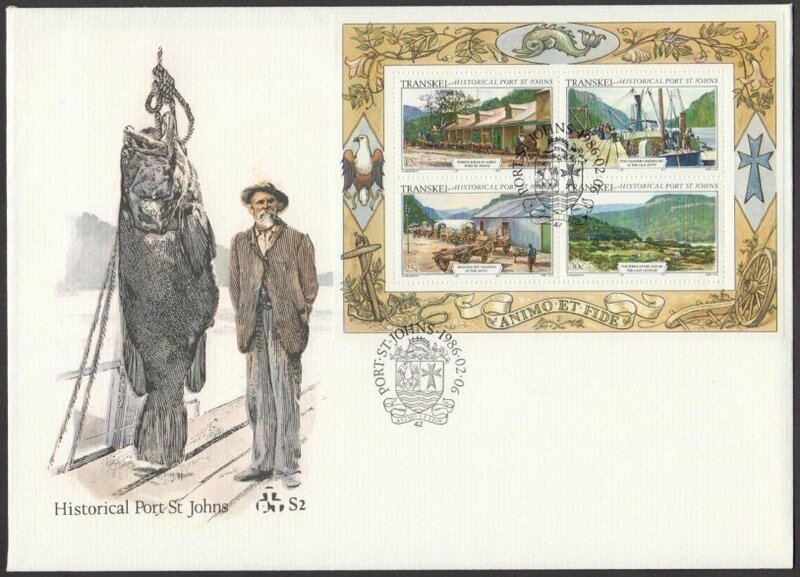 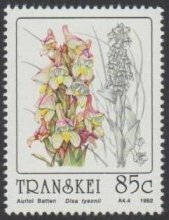 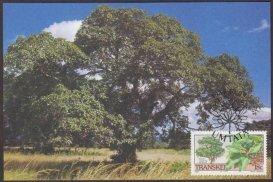 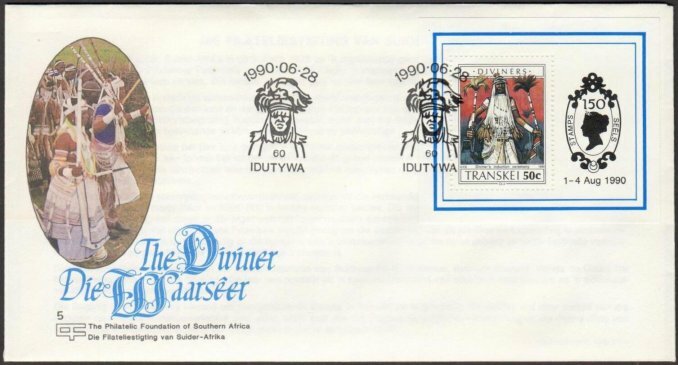 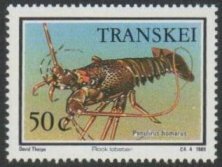 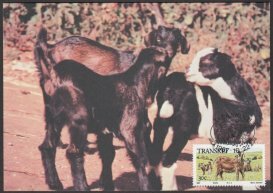 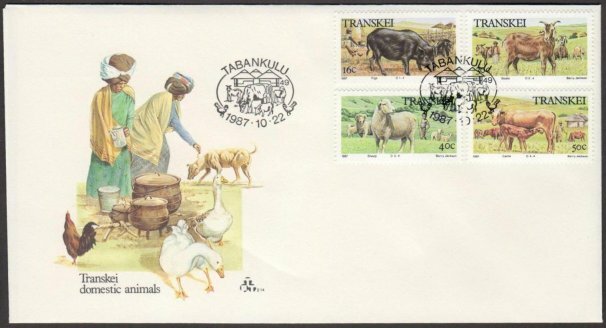 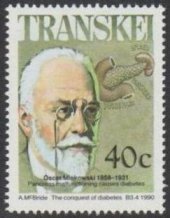 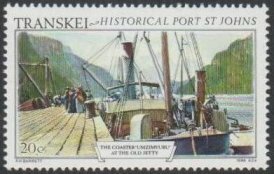 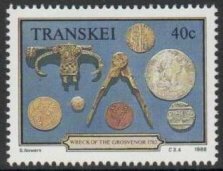 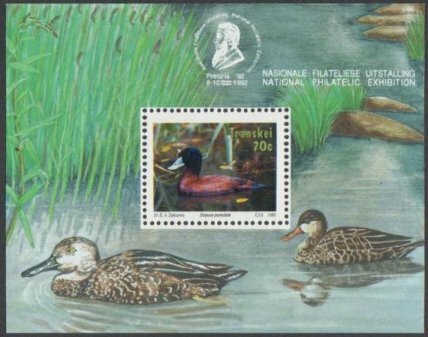 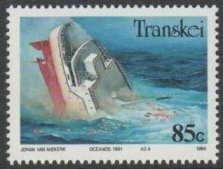 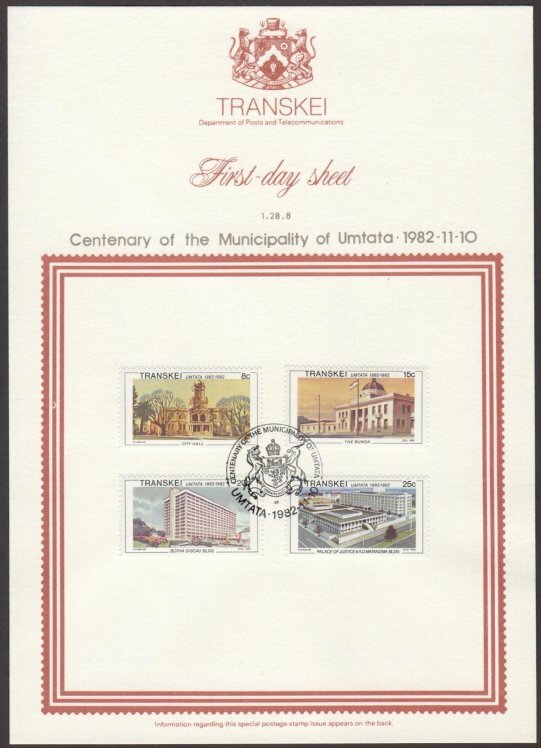 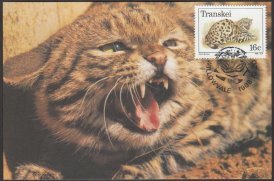 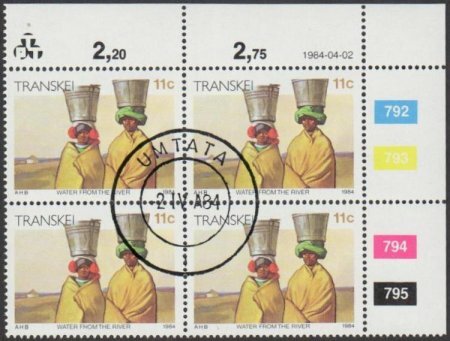 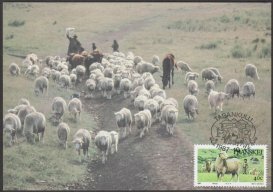 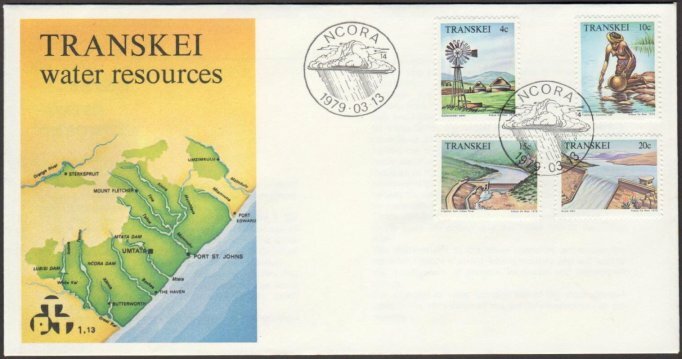 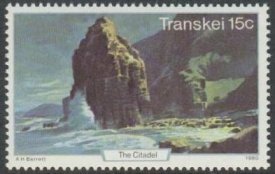 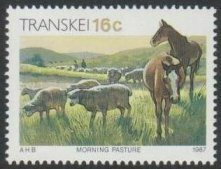 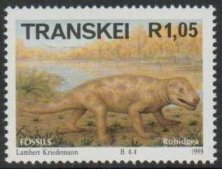 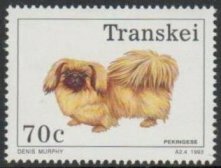 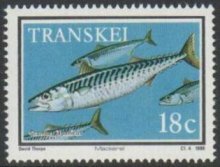 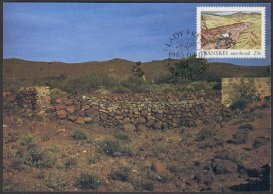 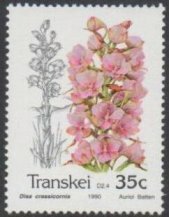 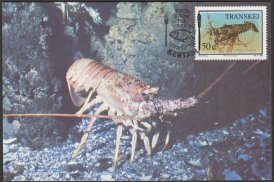 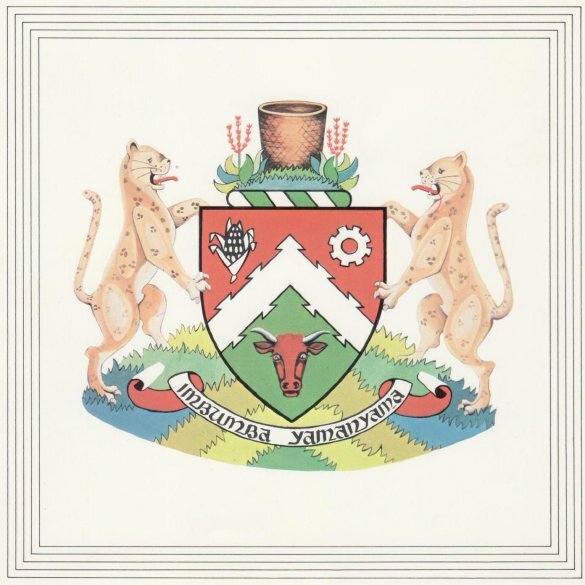 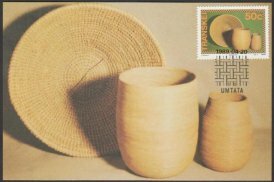 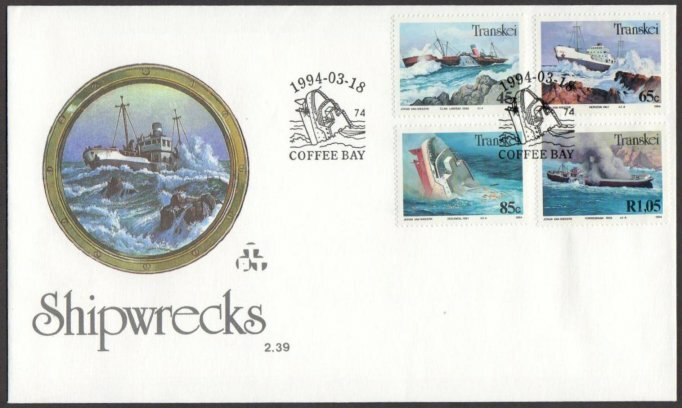 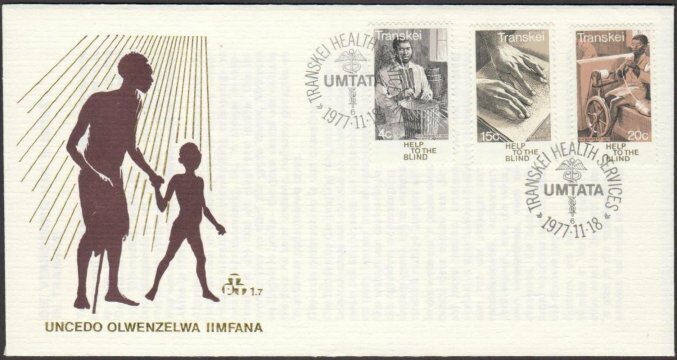 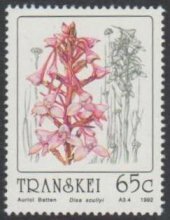 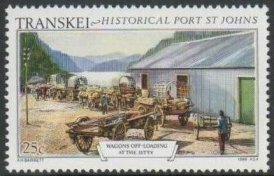 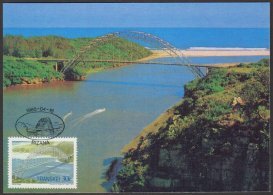 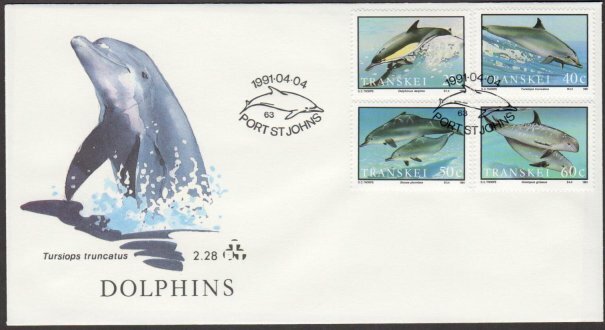 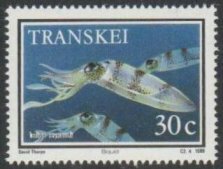 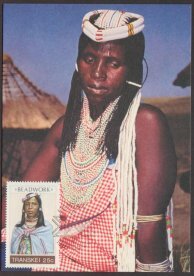 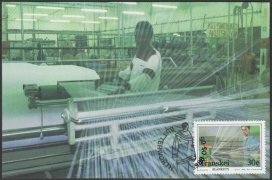 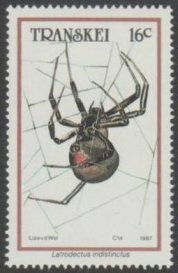 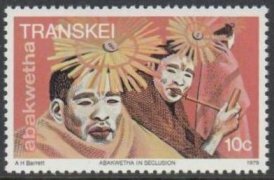 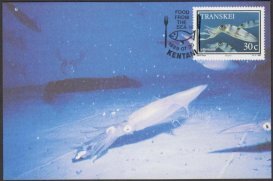 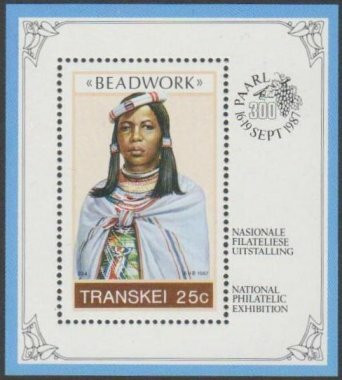 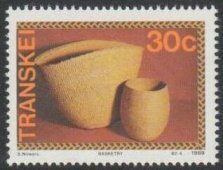 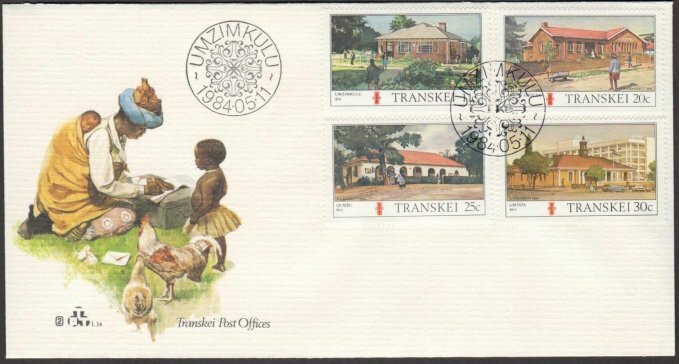 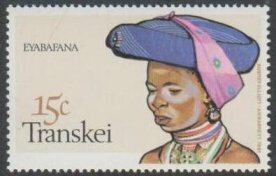 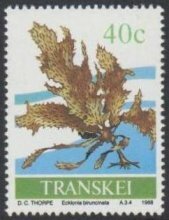 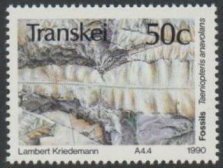 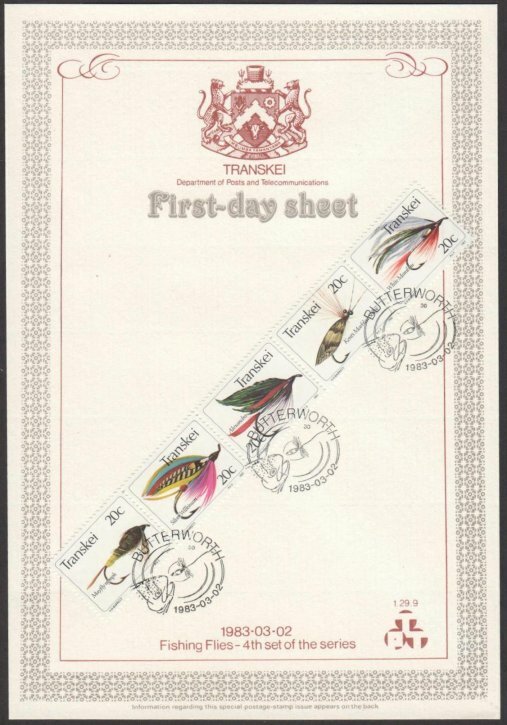 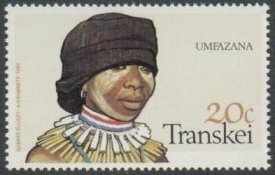 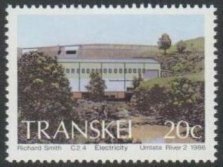 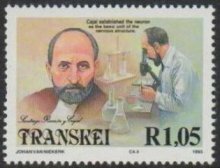 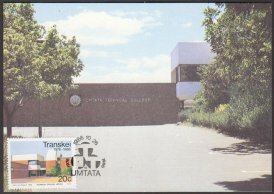 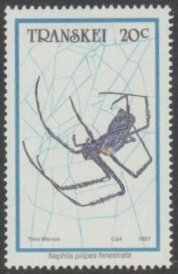 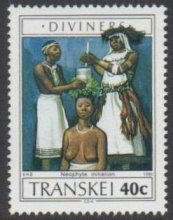 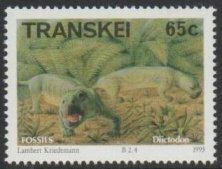 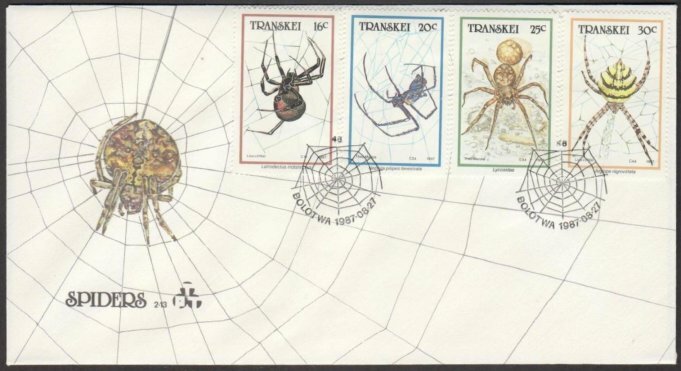 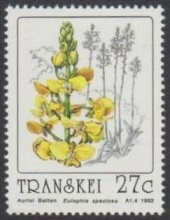 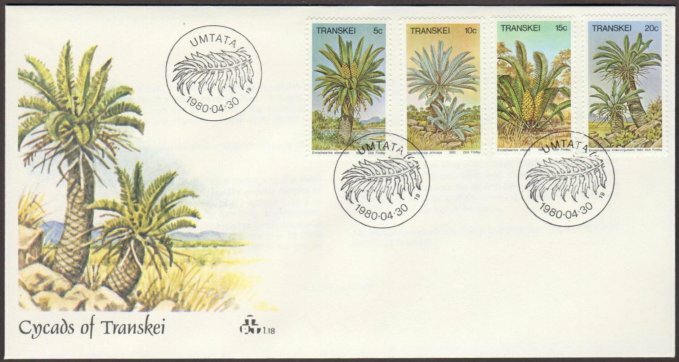 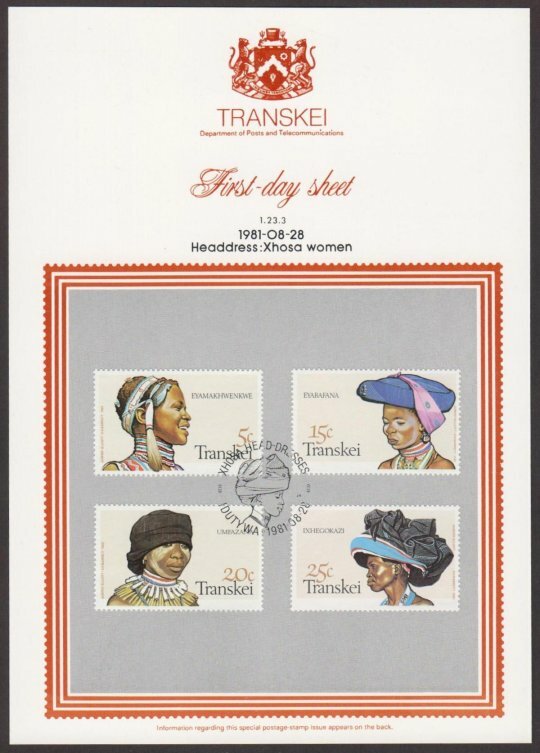 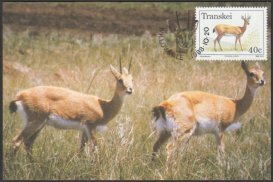 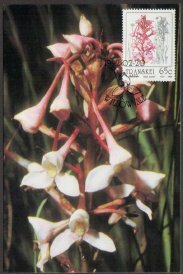 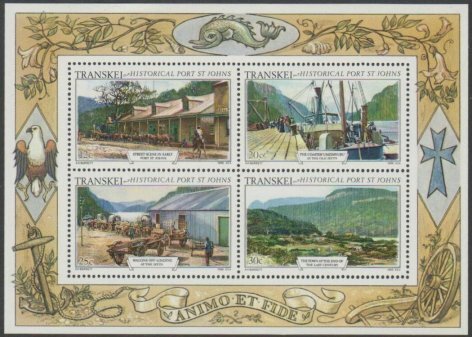 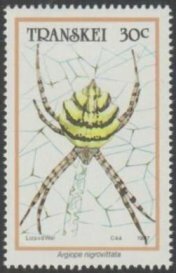 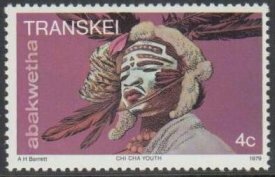 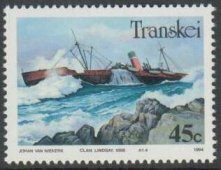 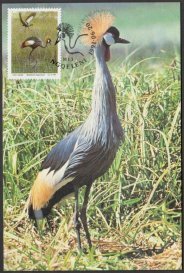 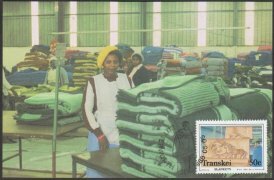 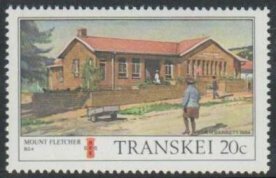 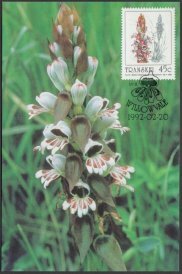 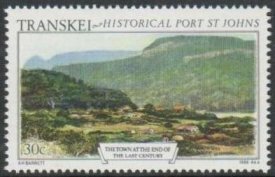 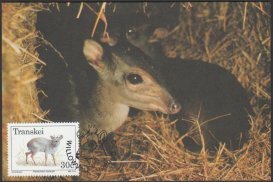 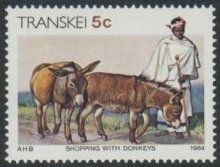 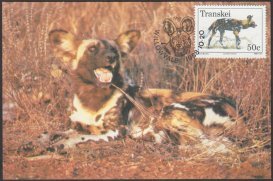 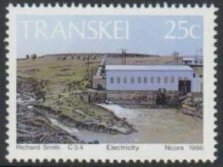 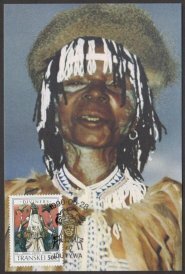 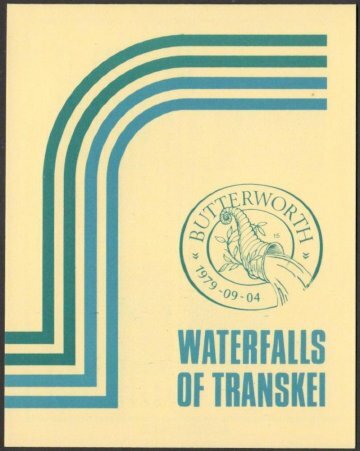 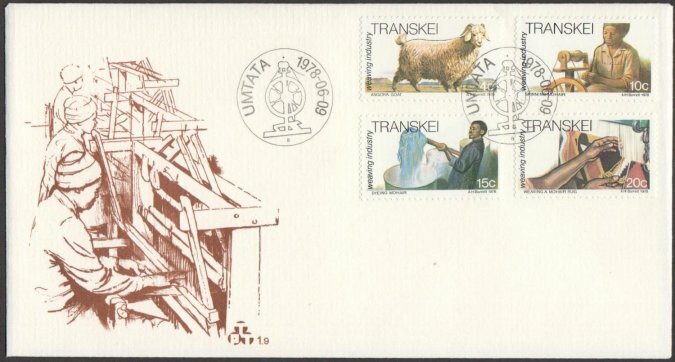 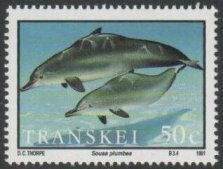 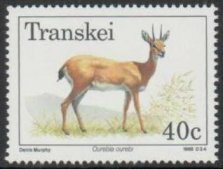 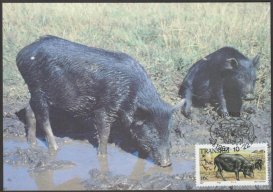 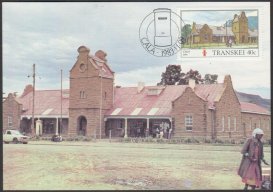 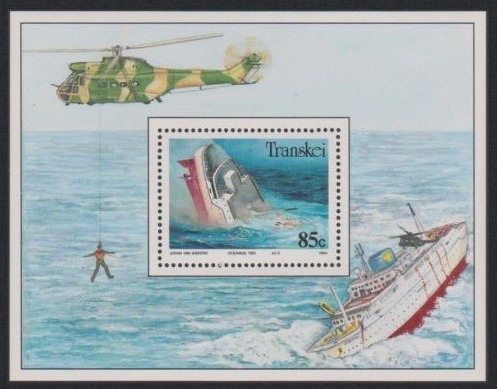 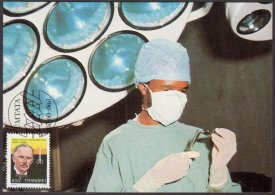 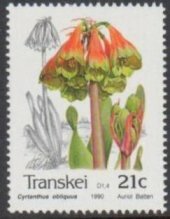 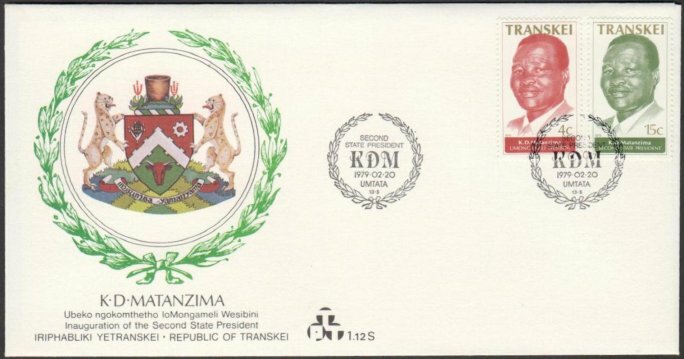 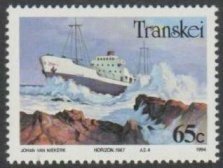 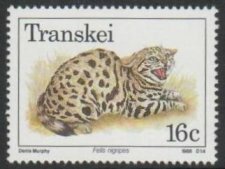 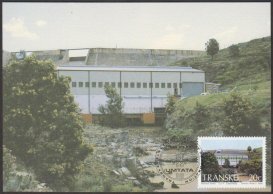 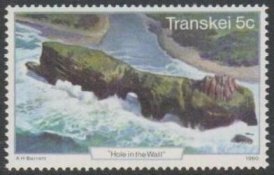 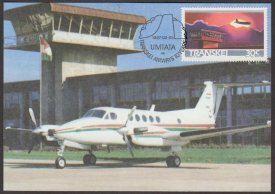 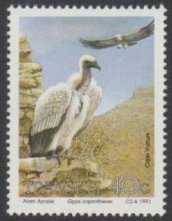 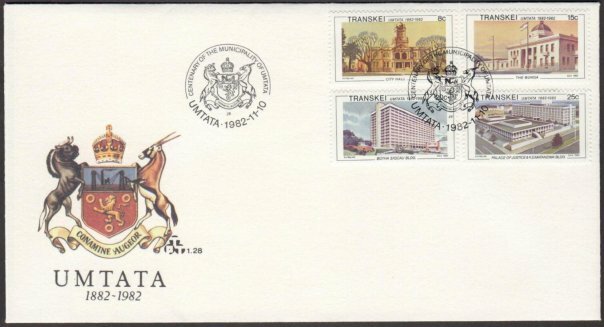 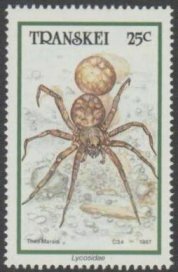 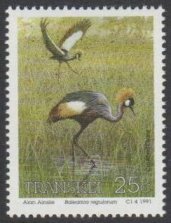 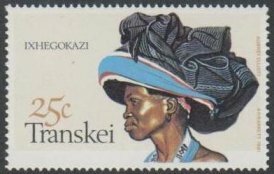 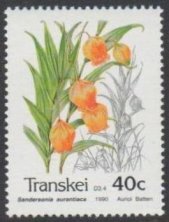 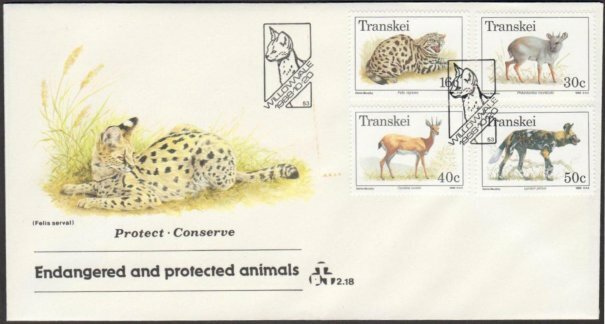 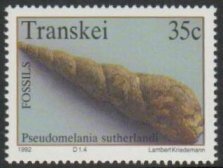 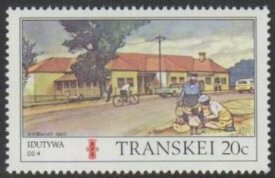 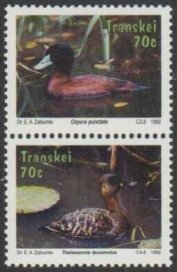 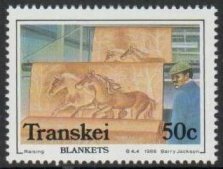 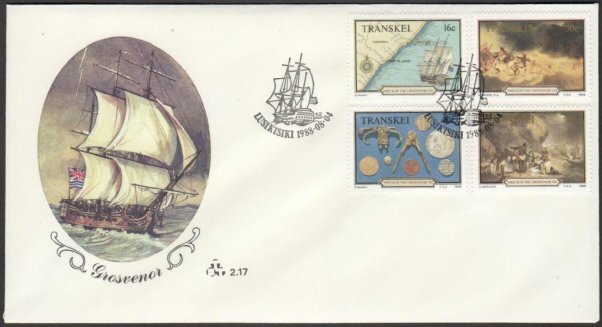 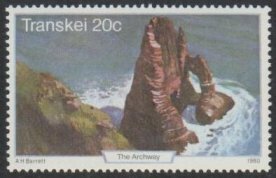 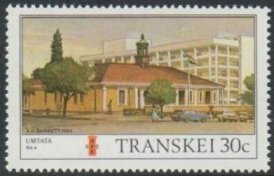 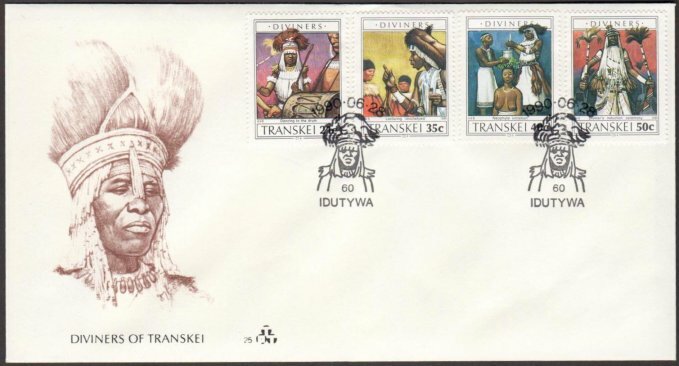 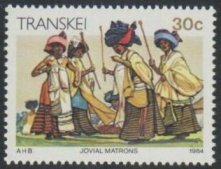 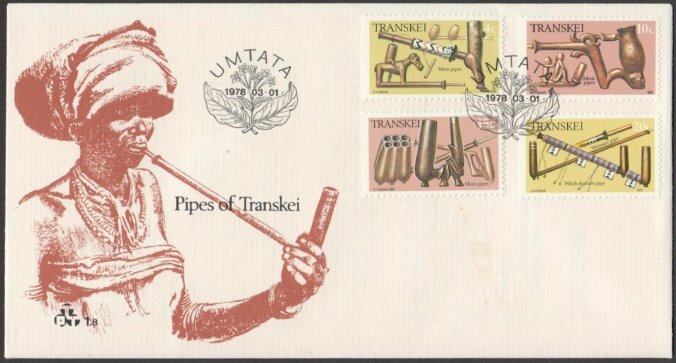 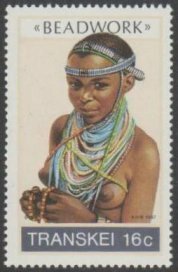 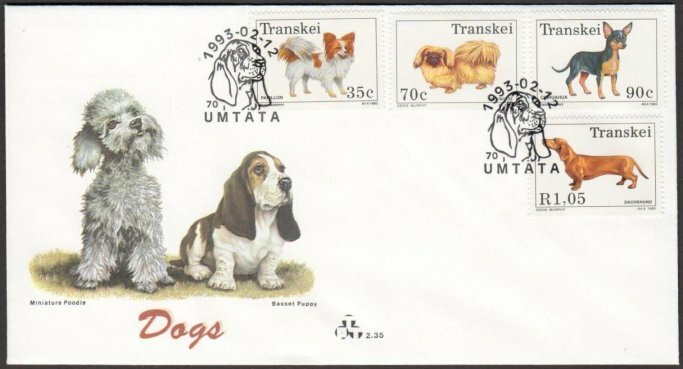 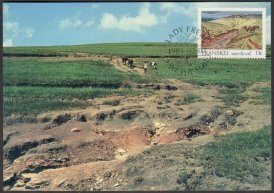 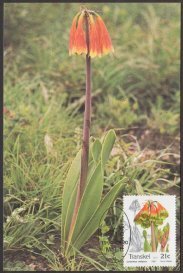 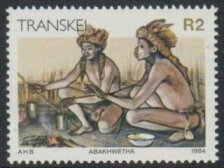 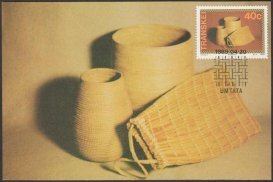 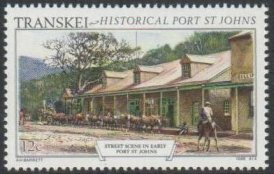 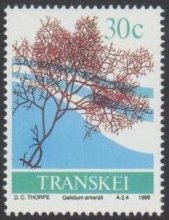 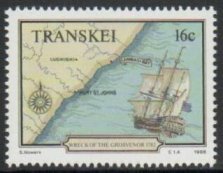 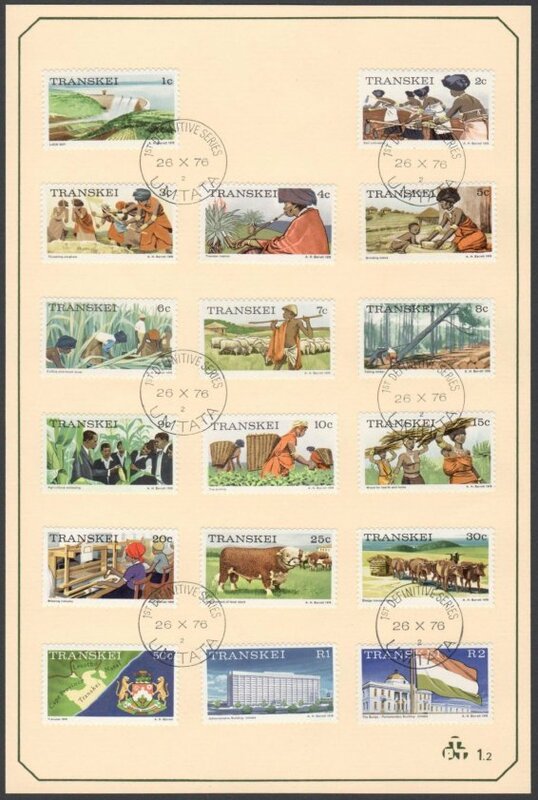 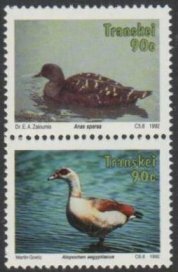 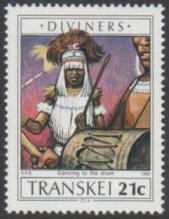 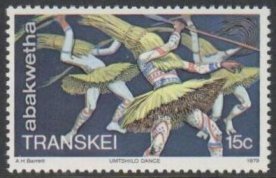 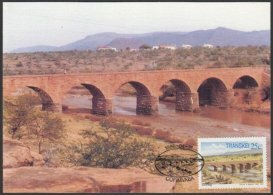 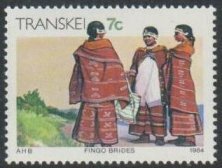 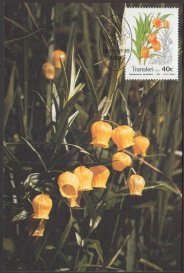 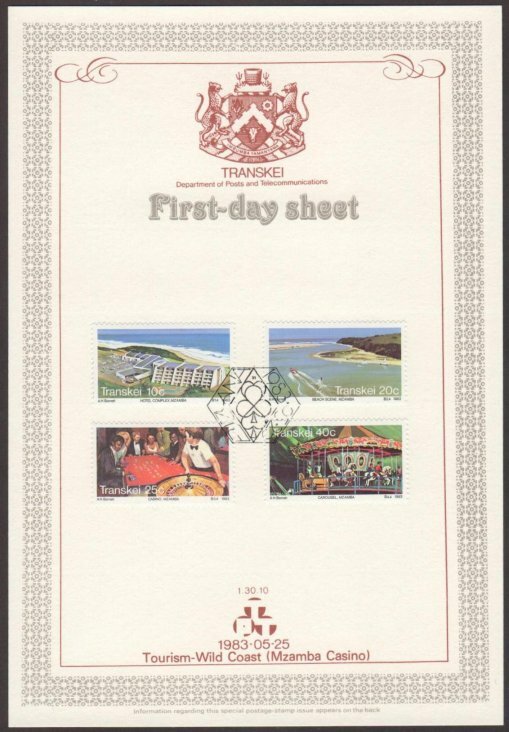 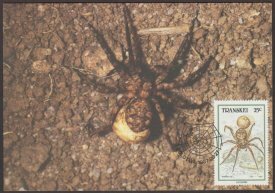 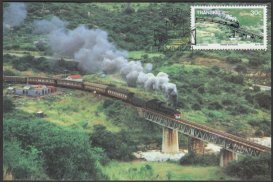 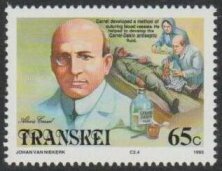 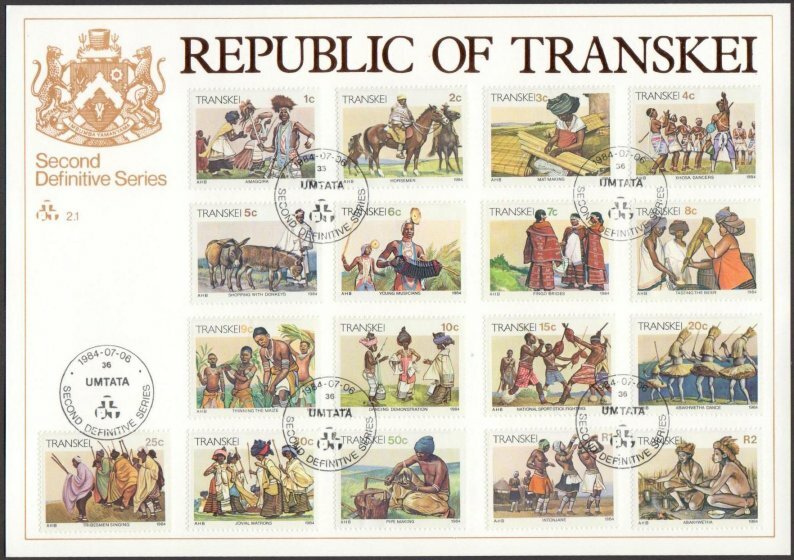 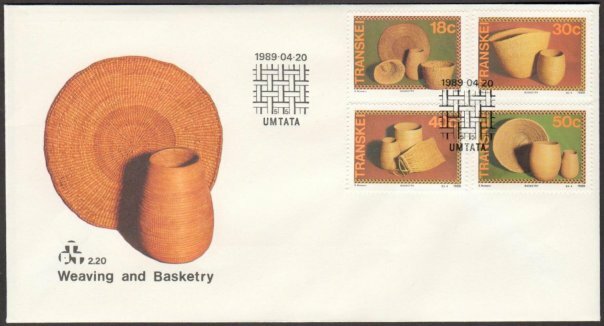 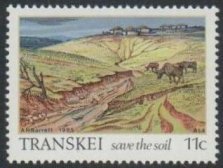 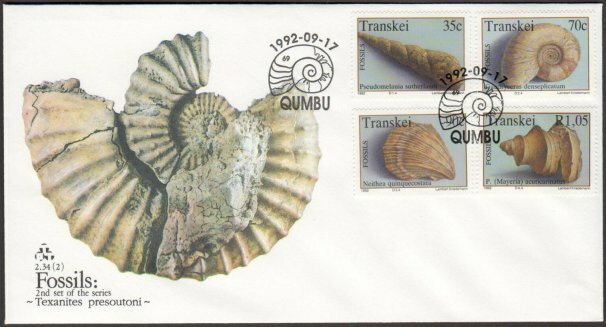 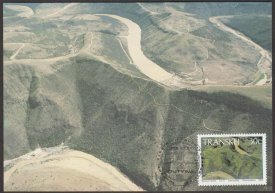 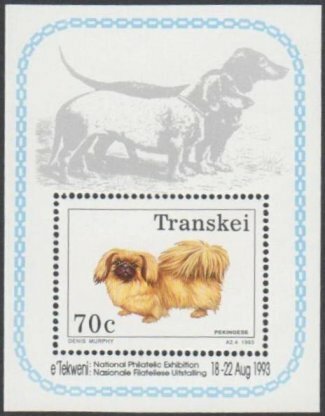 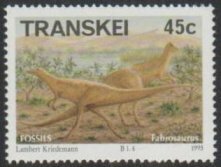 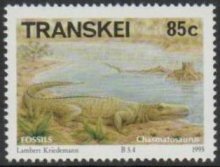 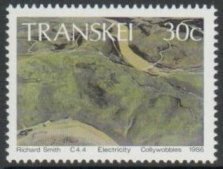 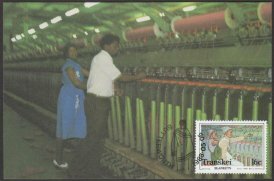 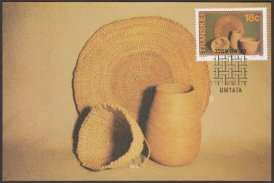 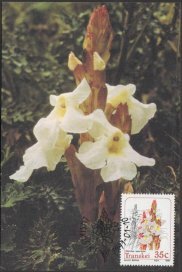 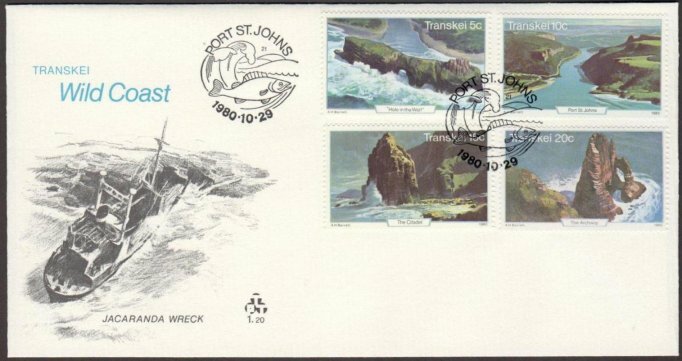 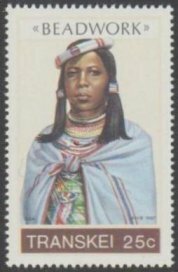 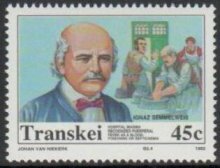 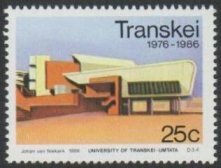 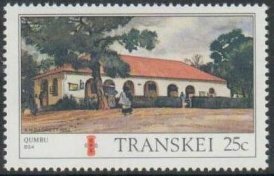 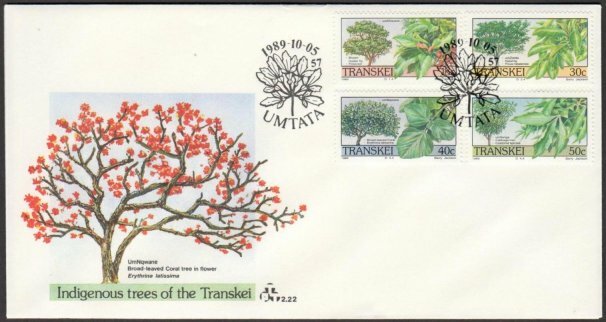 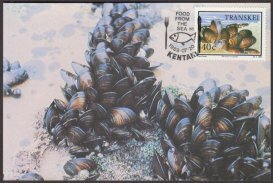 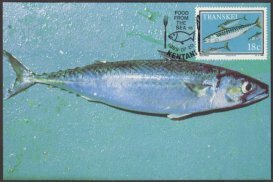 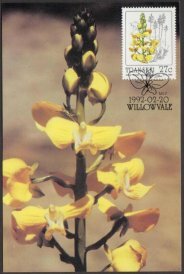 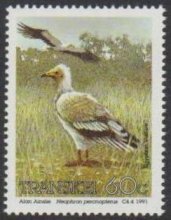 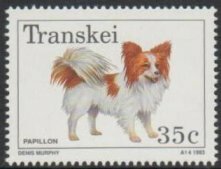 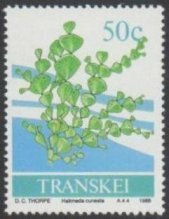 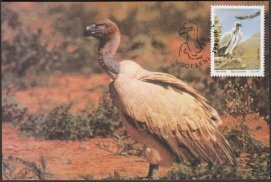 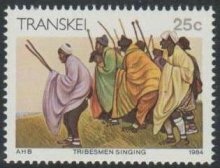 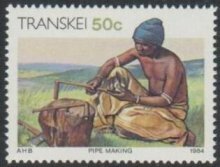 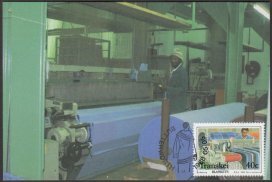 The Transkei will, in due course, be included as a stamp issuing country in the philatelic catalogues of the world, but its main influence will be felt nearer home. 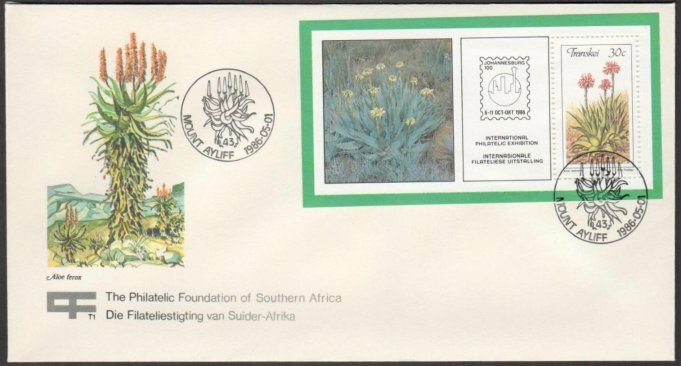 A new field of philately will be opened for local philatelists to direct their attention - the postal material emanating from an adjacent and interesting neighbour, once a ‘resident’ of South Africa. 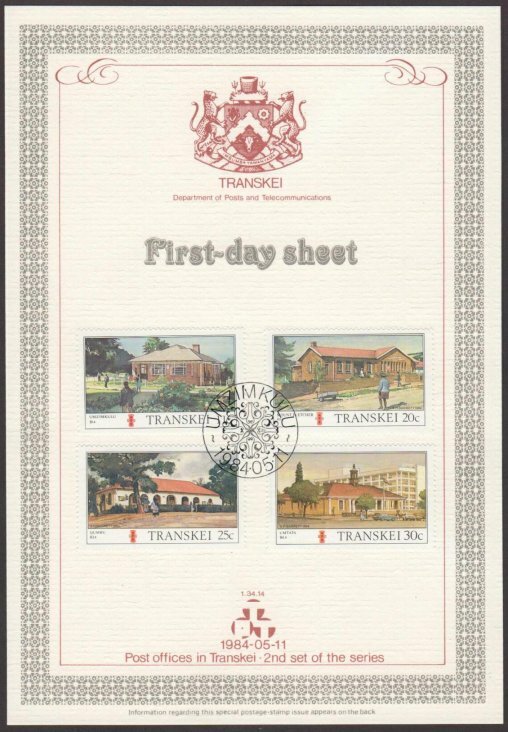 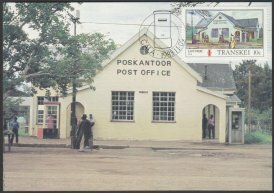 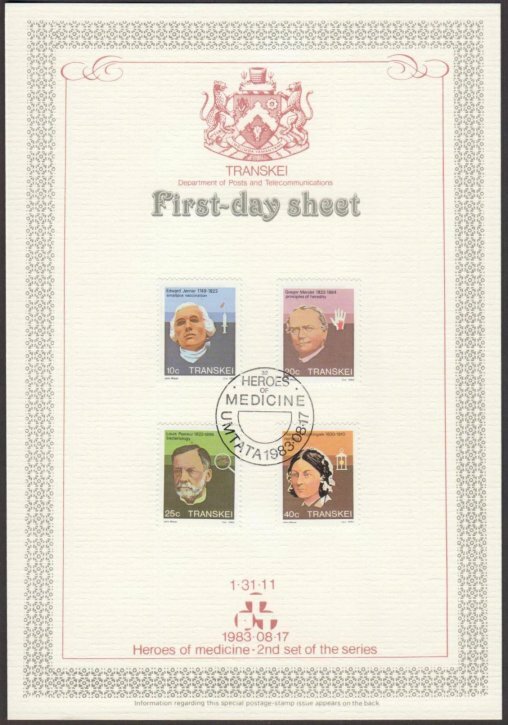 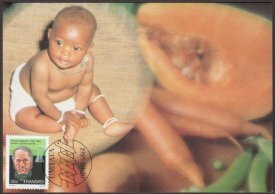 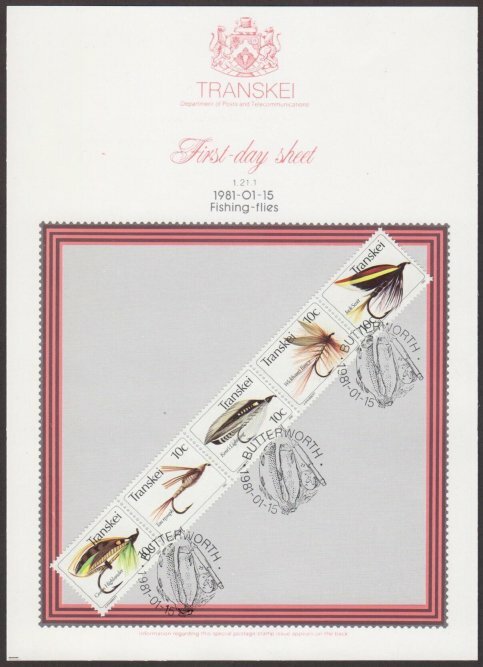 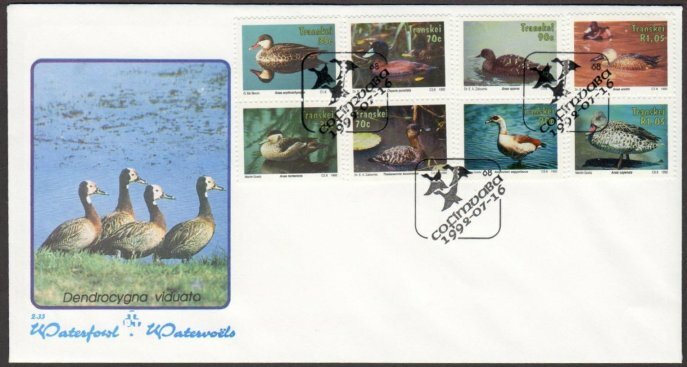 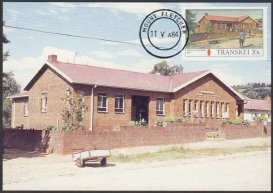 This philatelic aspect has already become apparent in that official and other announcements have been made of the Transkei’s forthcoming independent and definitive first day issues. 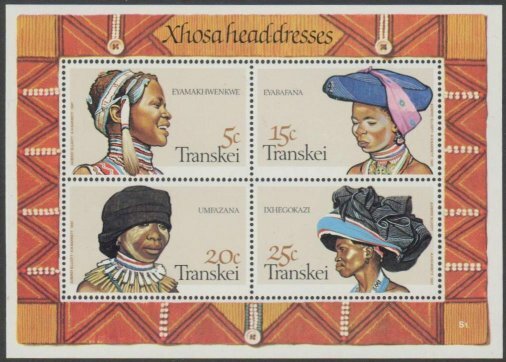 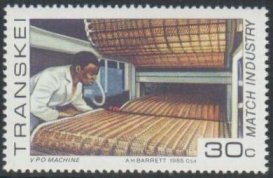 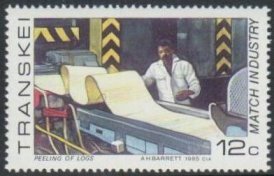 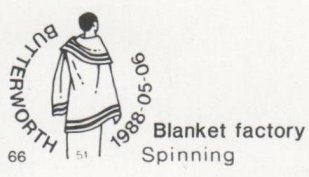 But the immediate, and perhaps the more important aspects, are the South African stamps and material cancelled prior to independence. 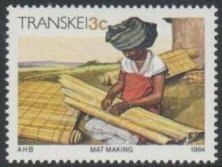 changed from a small folded unit to a single sheet. 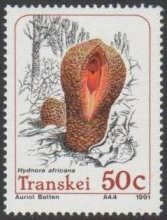 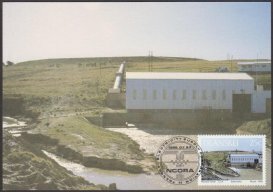 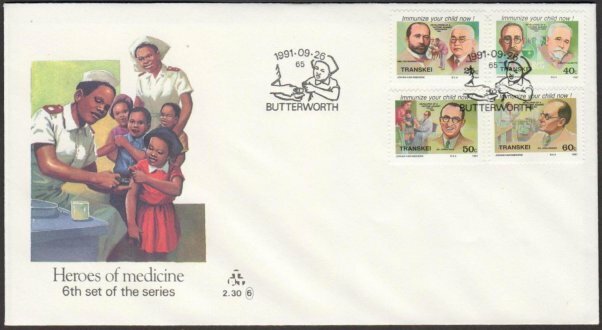 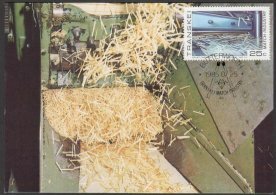 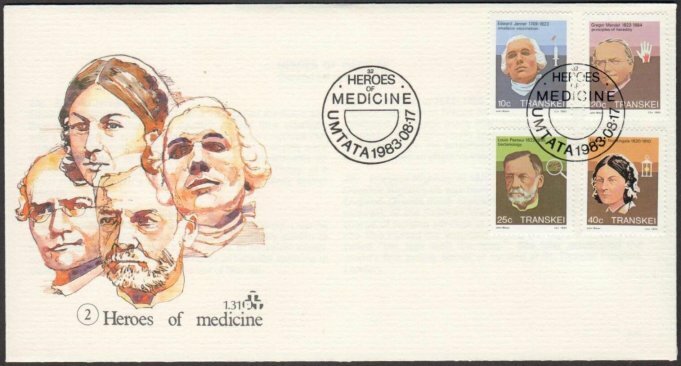 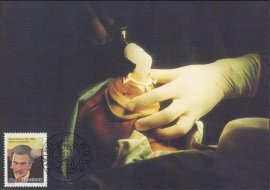 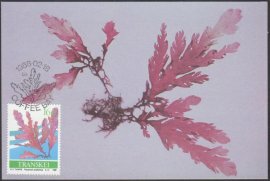 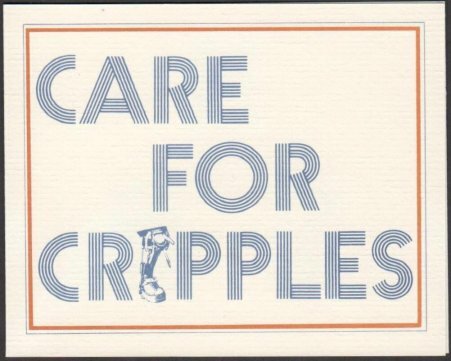 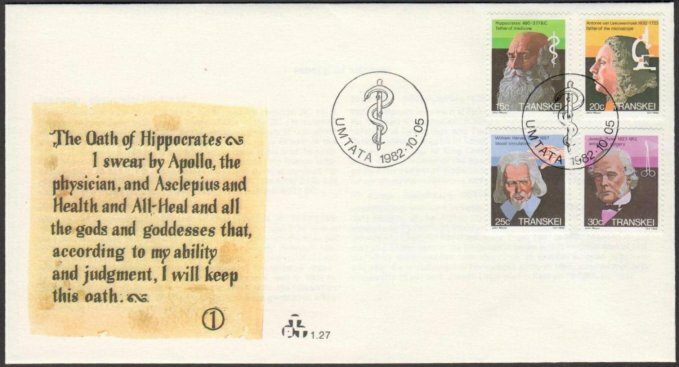 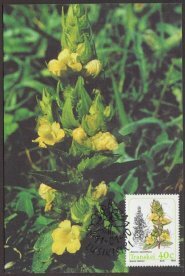 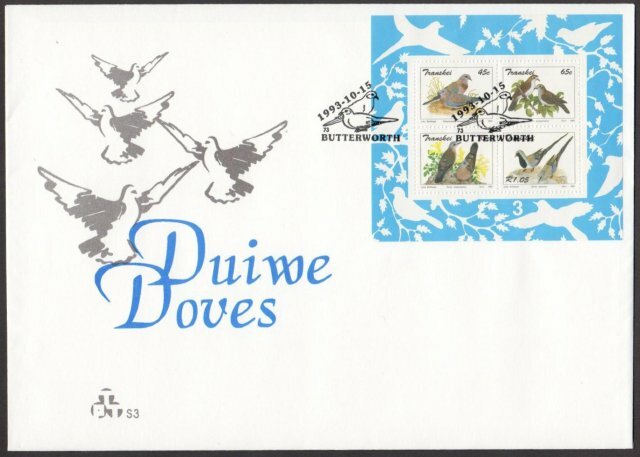 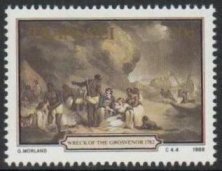 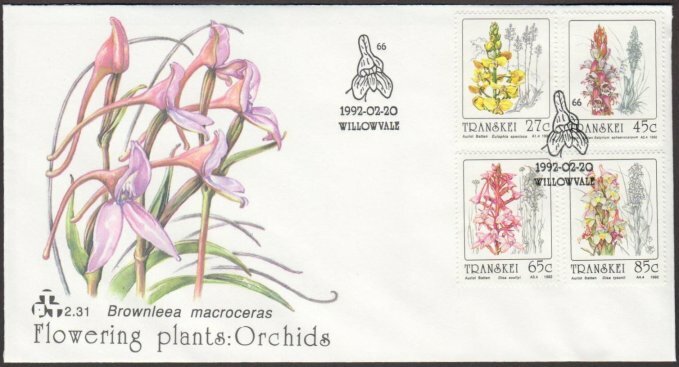 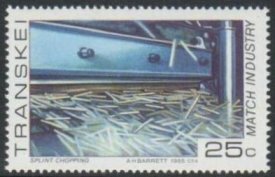 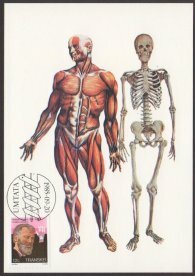 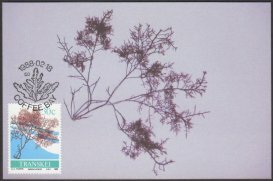 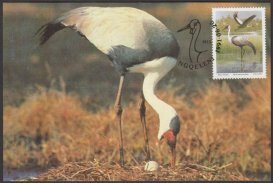 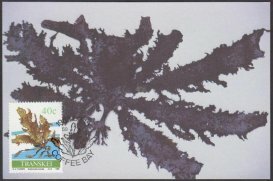 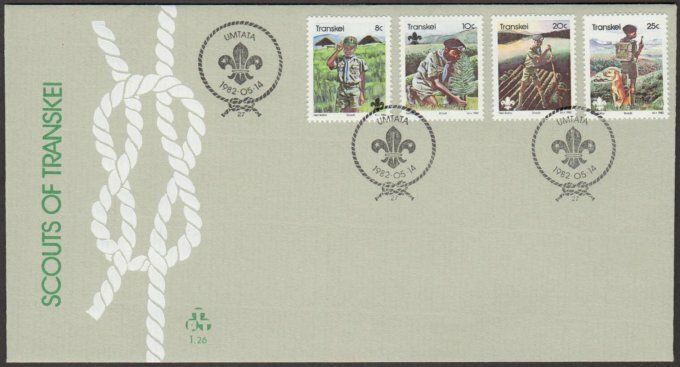 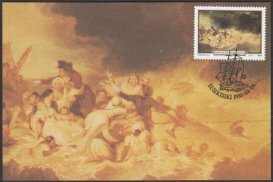 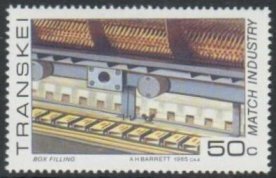 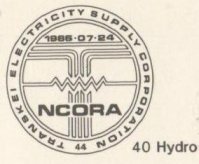 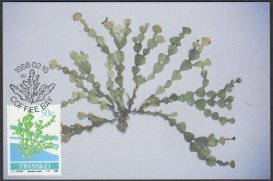 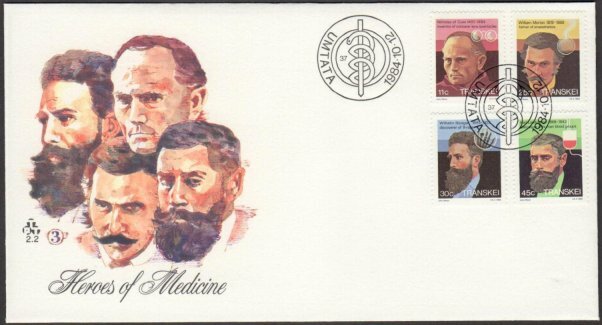 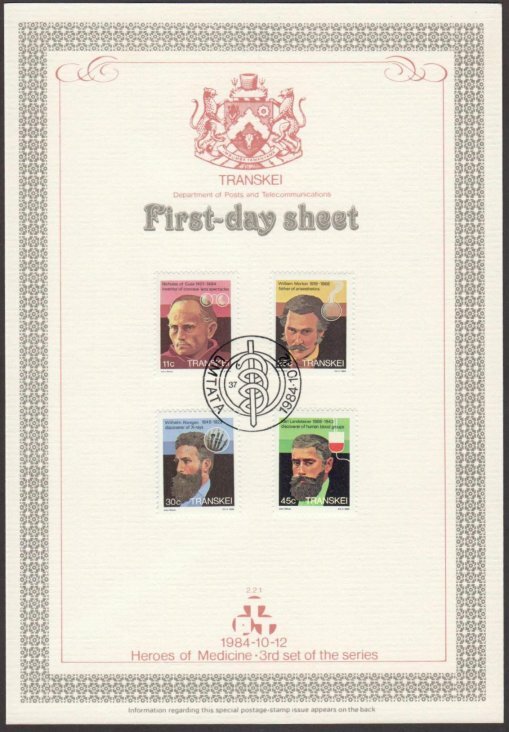 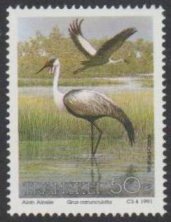 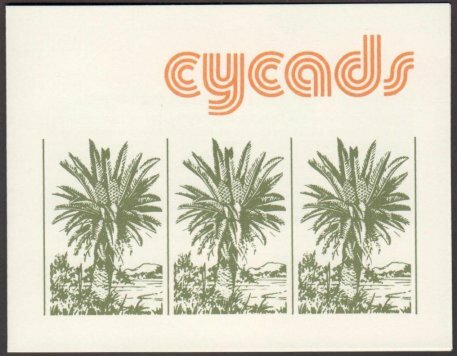 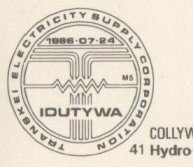 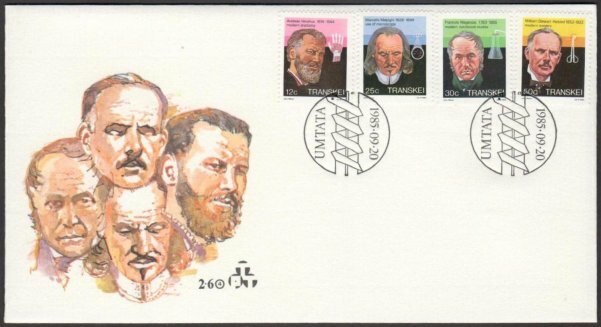 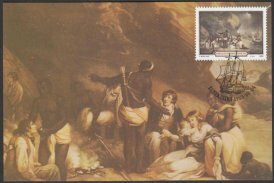 information about the stamp and cover design. 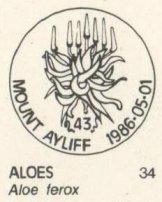 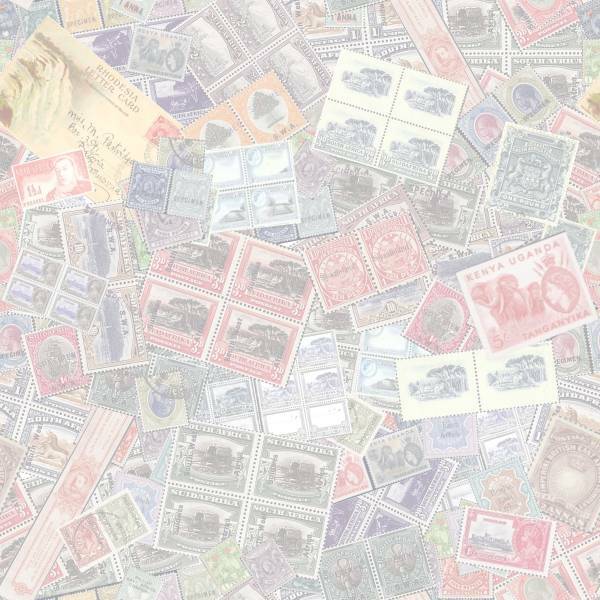 plus nine Foundation MS (9 stamps) making a grand total of 333 stamps.